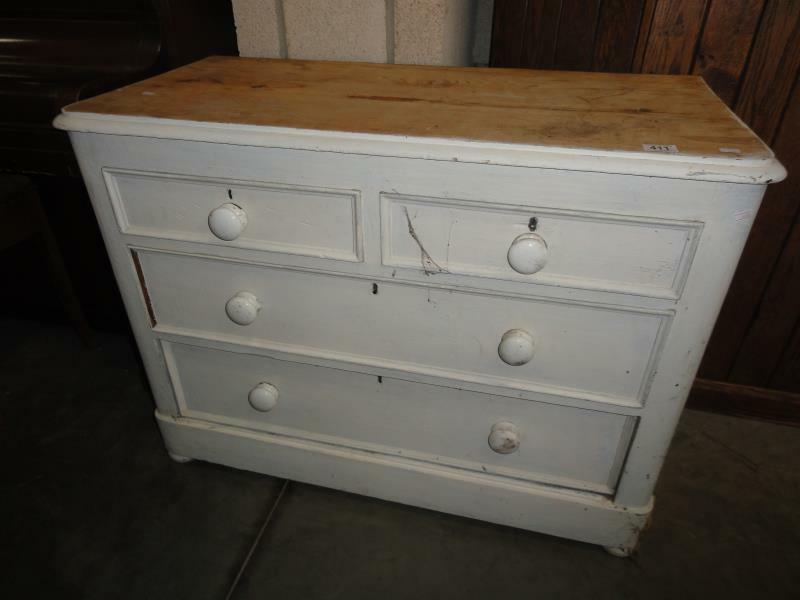 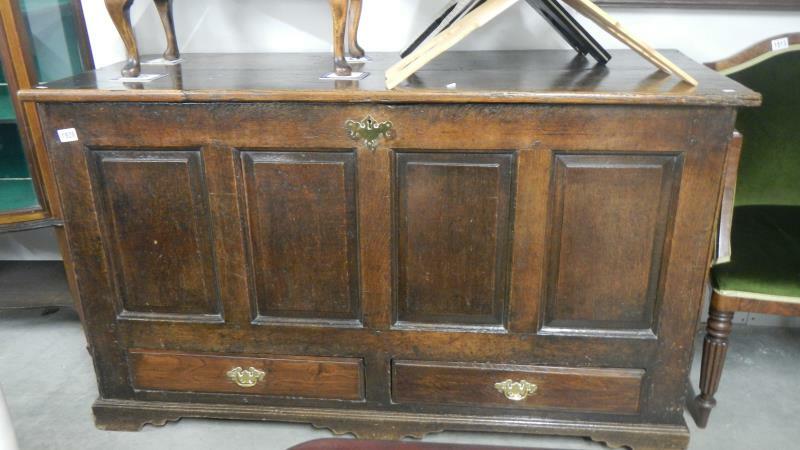 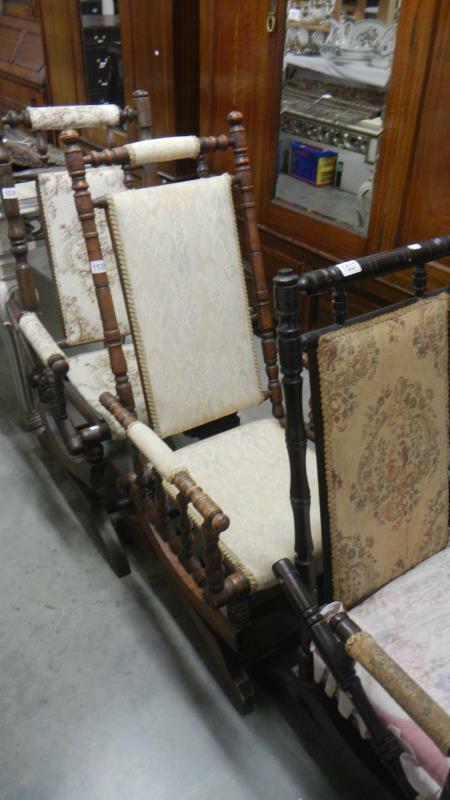 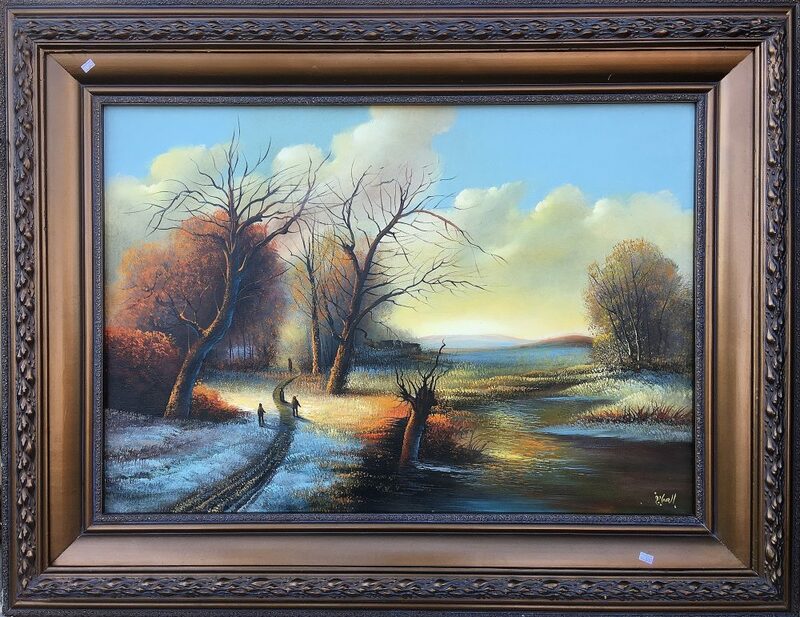 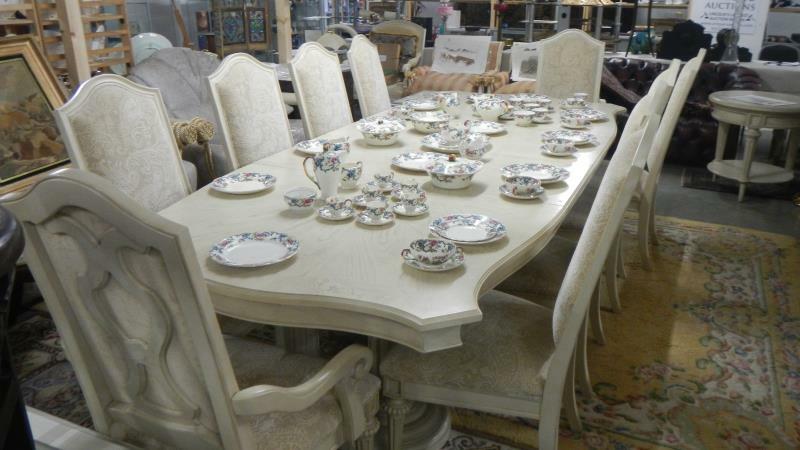 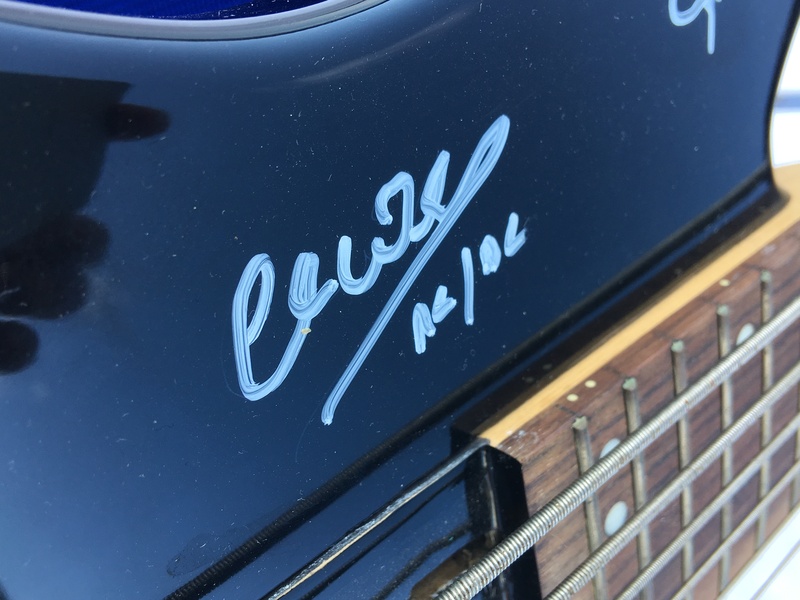 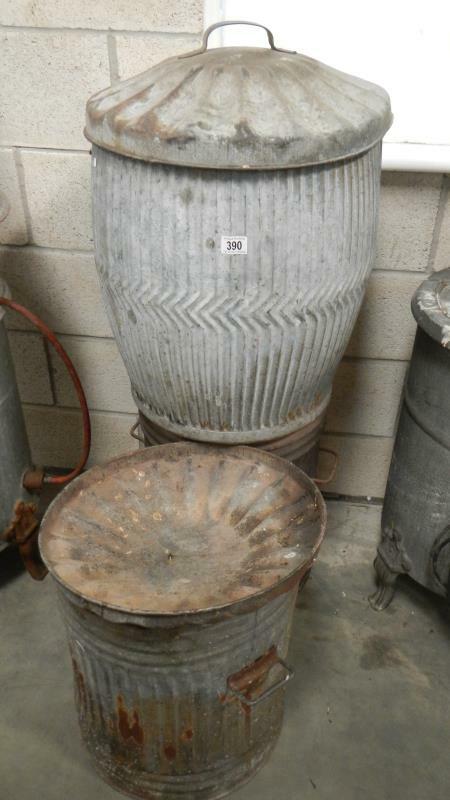 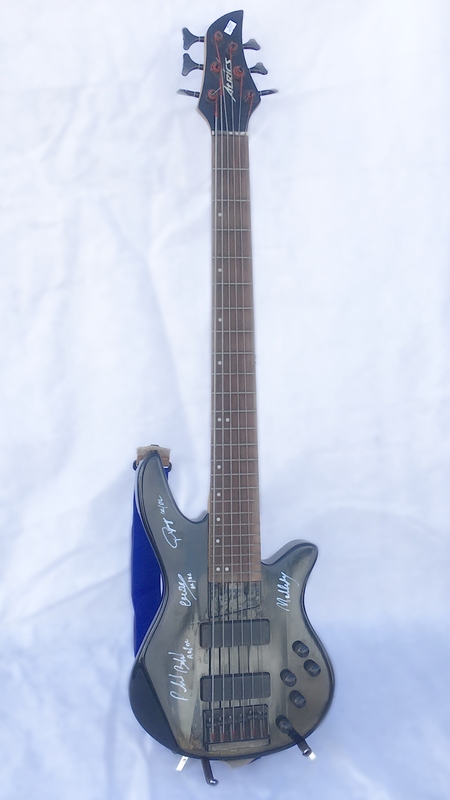 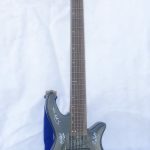 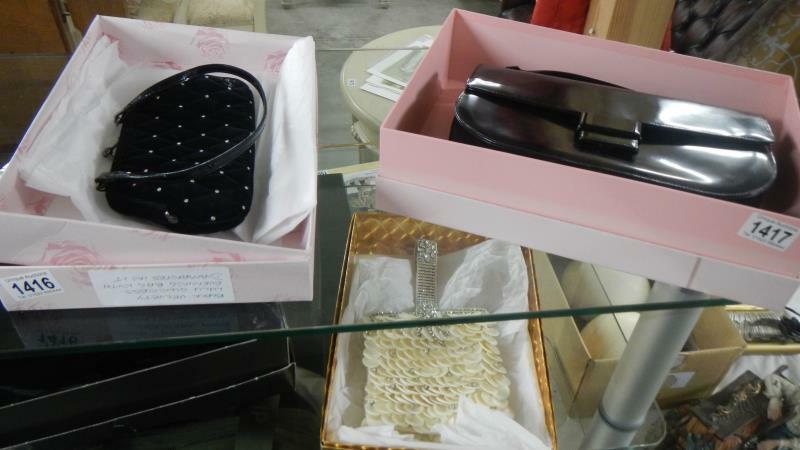 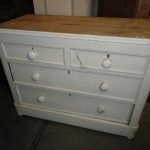 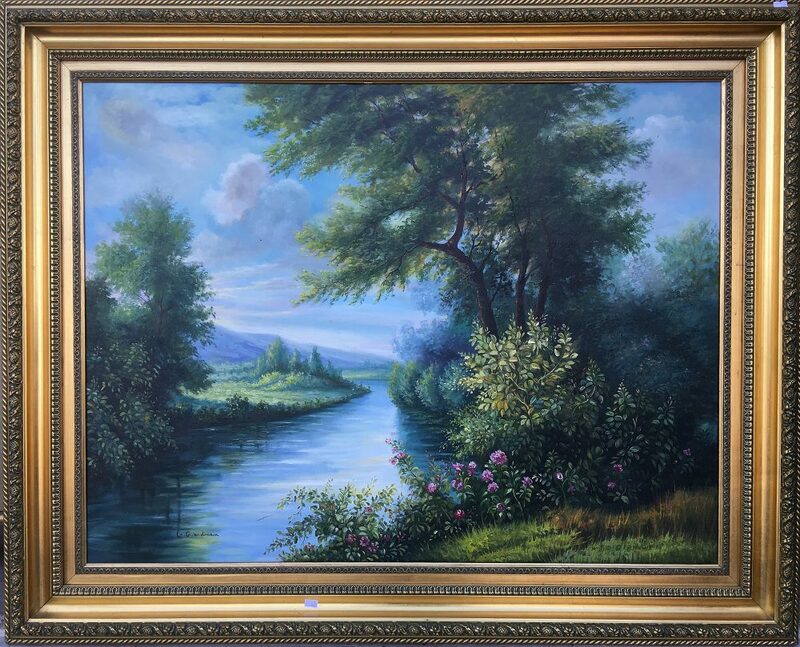 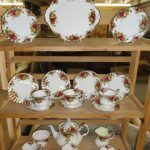 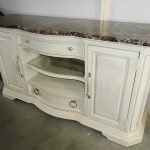 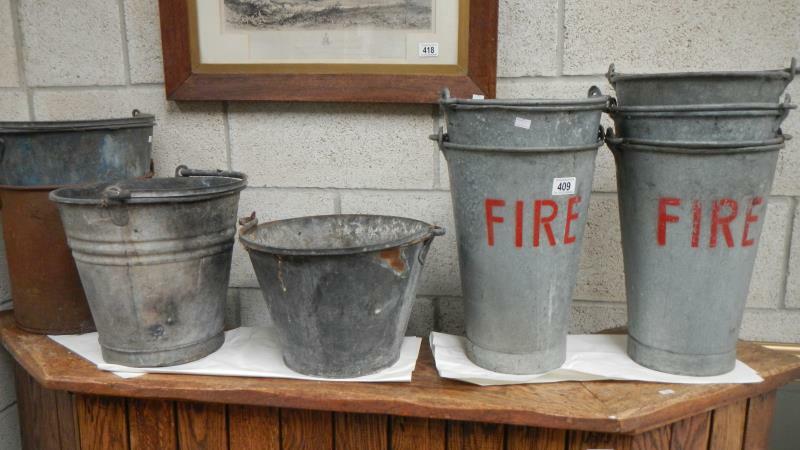 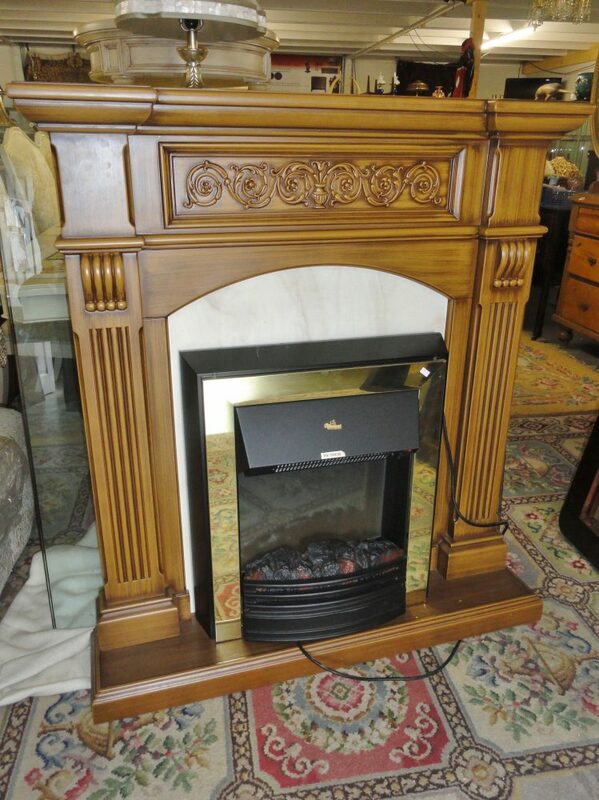 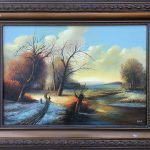 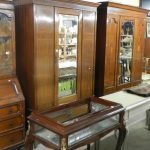 Viewing Friday 24th August 9am-6pm & from 7am on morning of auction. 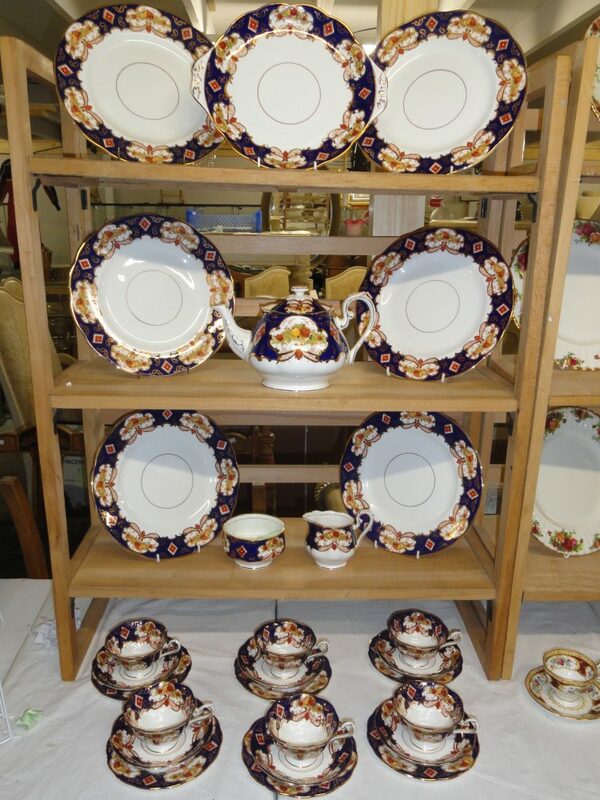 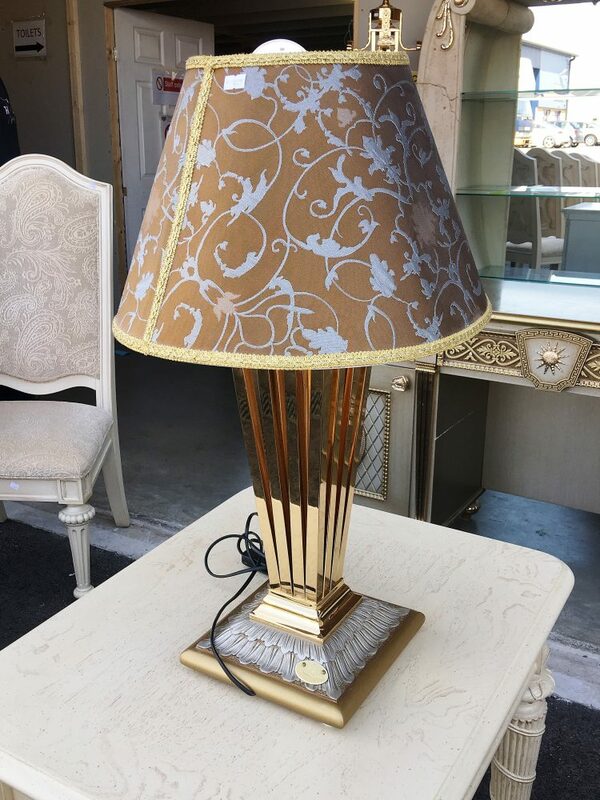 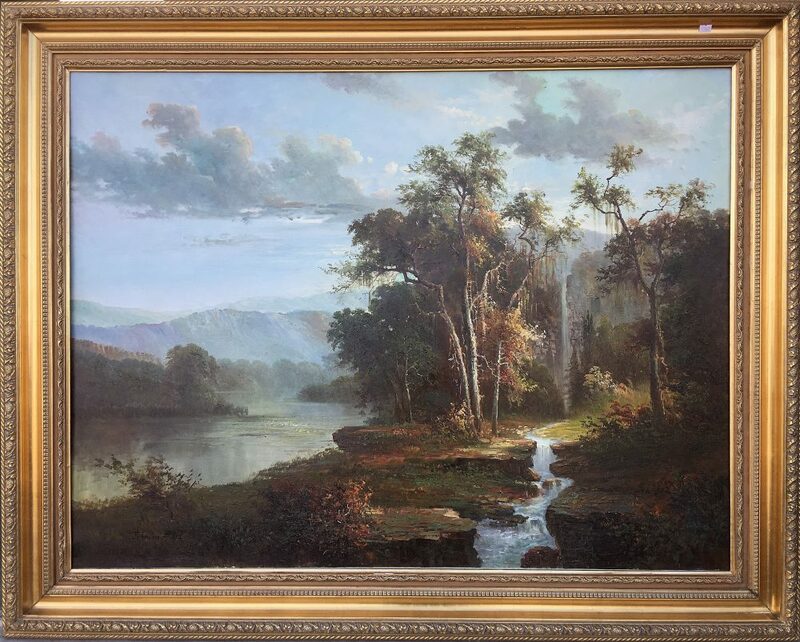 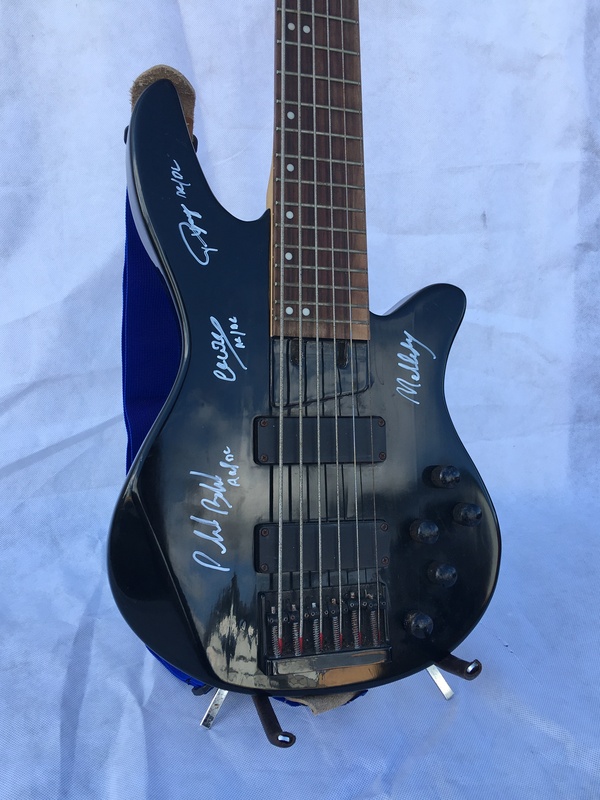 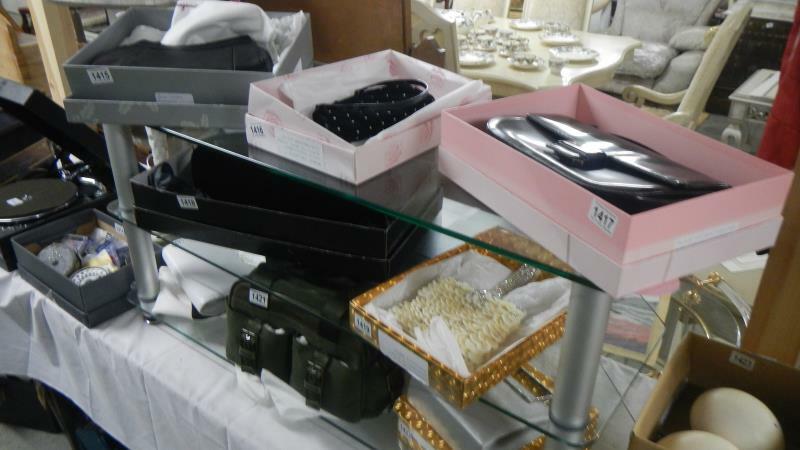 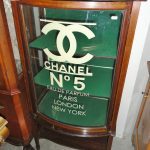 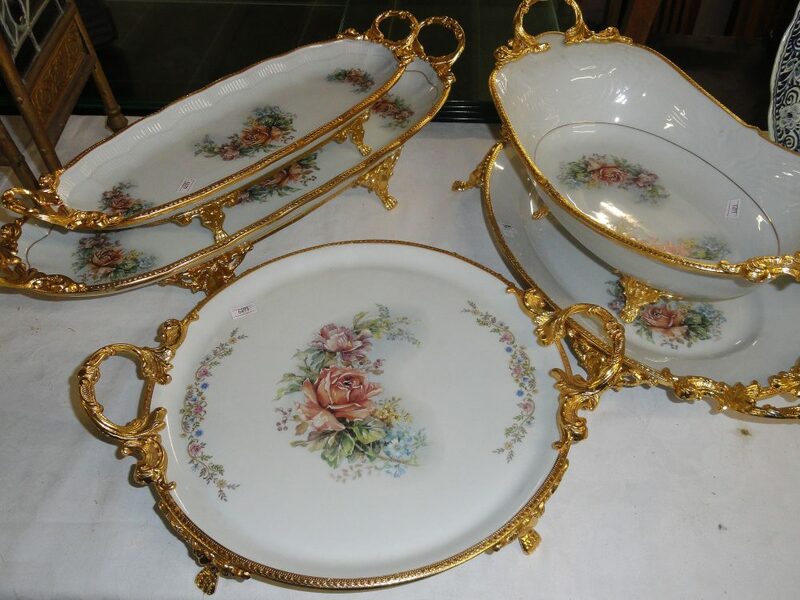 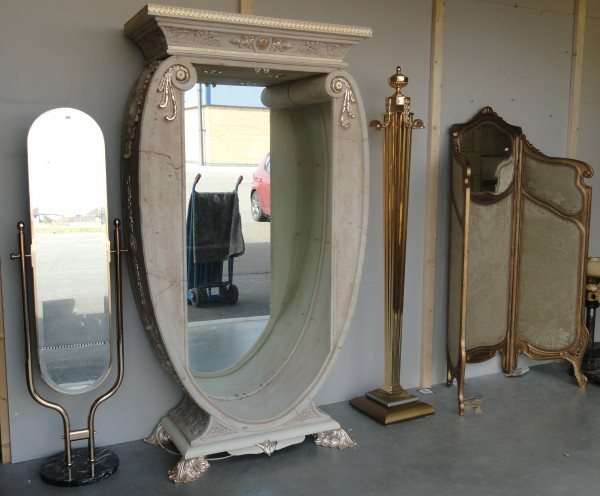 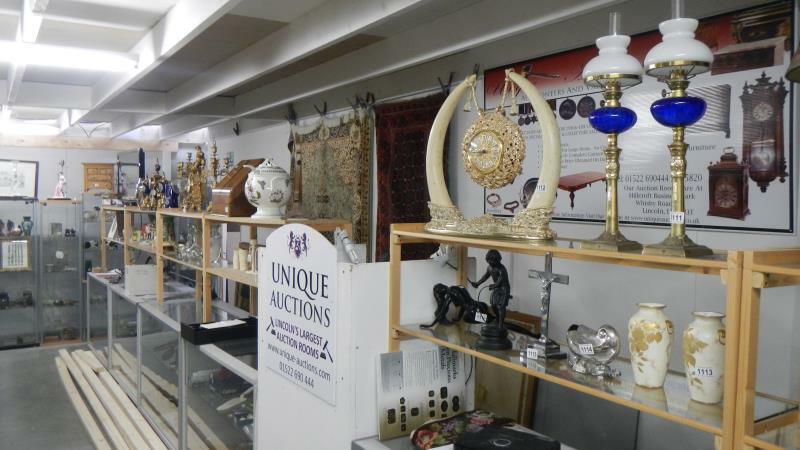 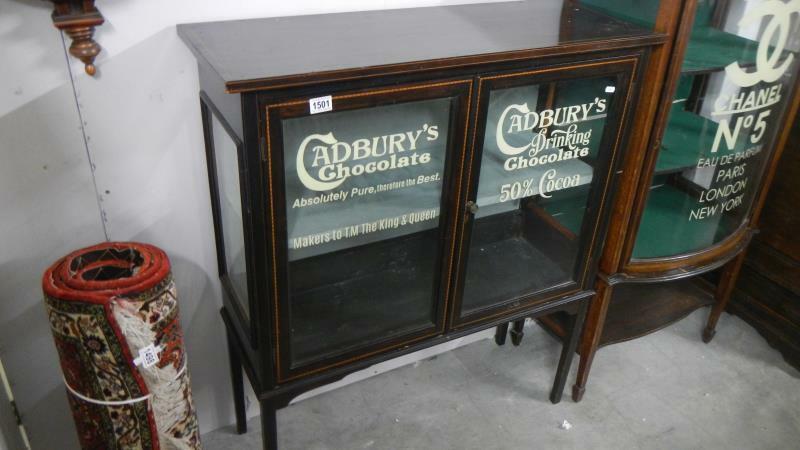 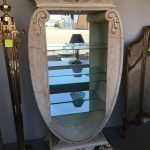 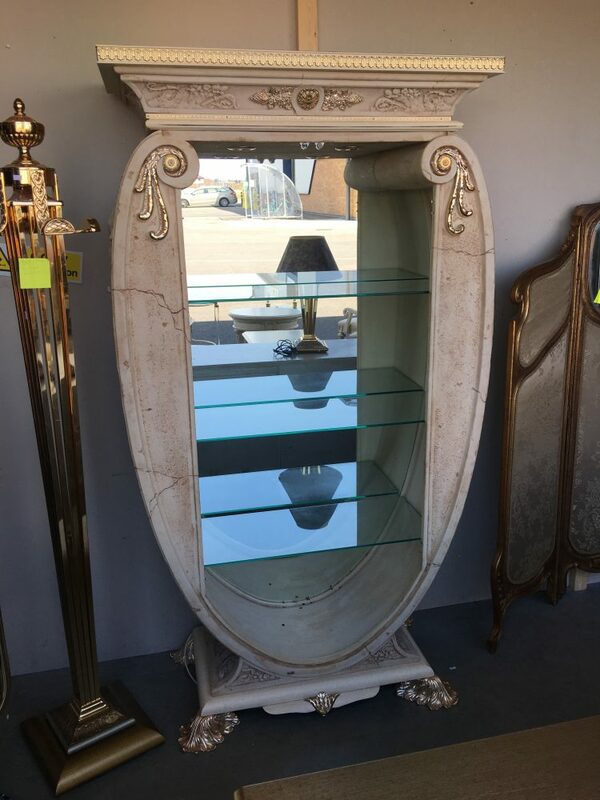 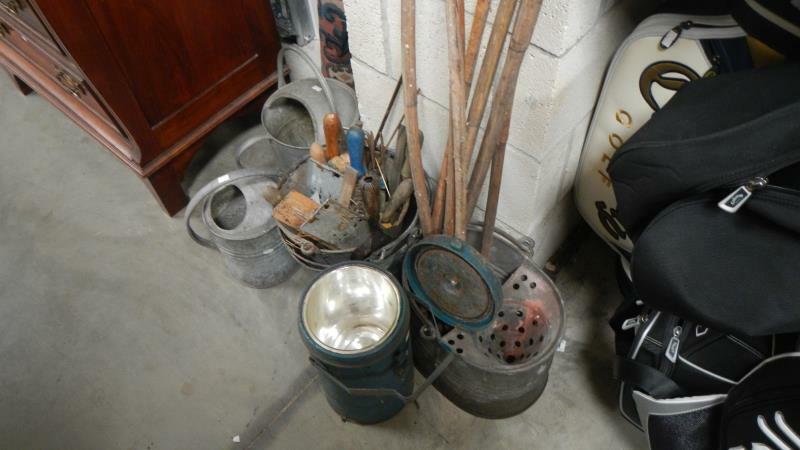 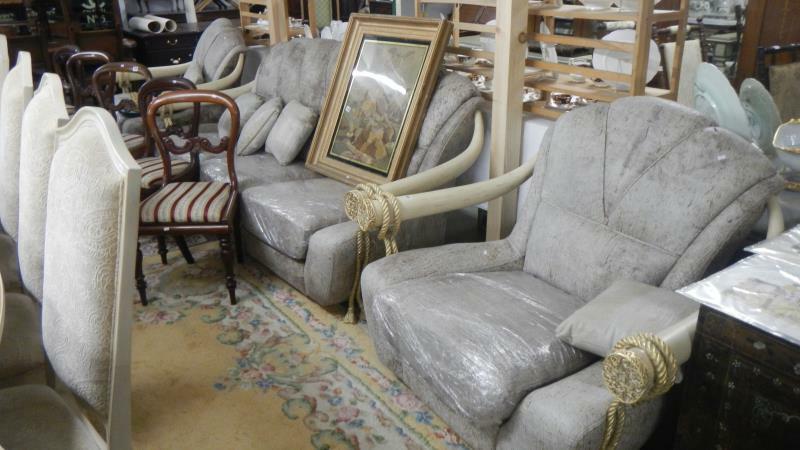 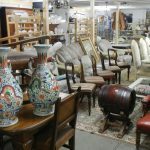 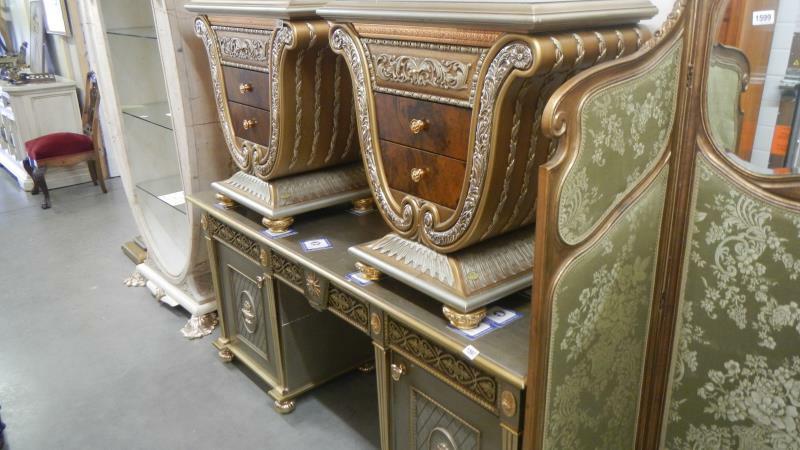 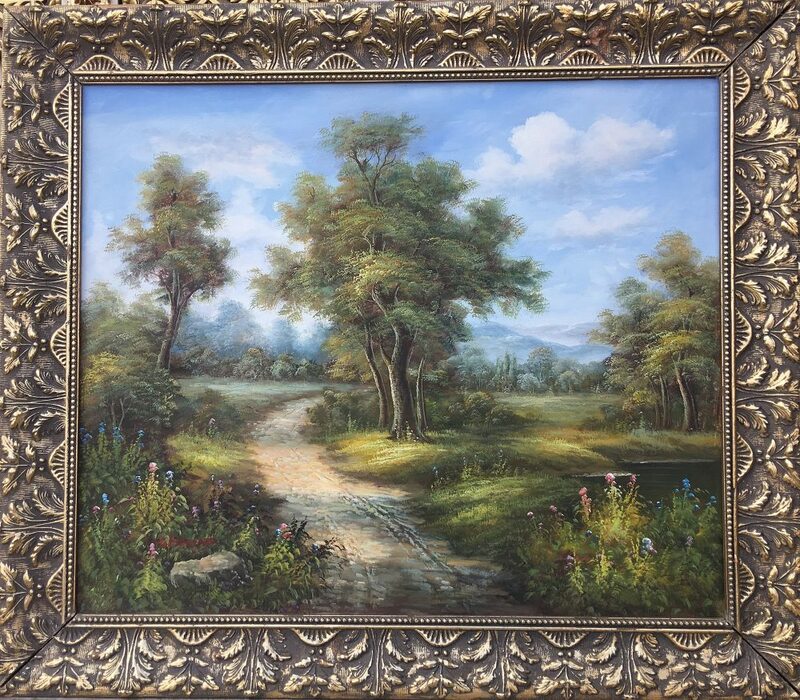 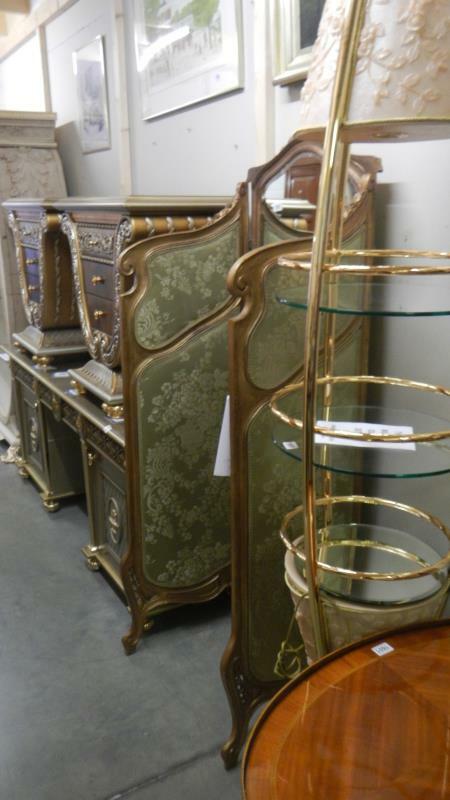 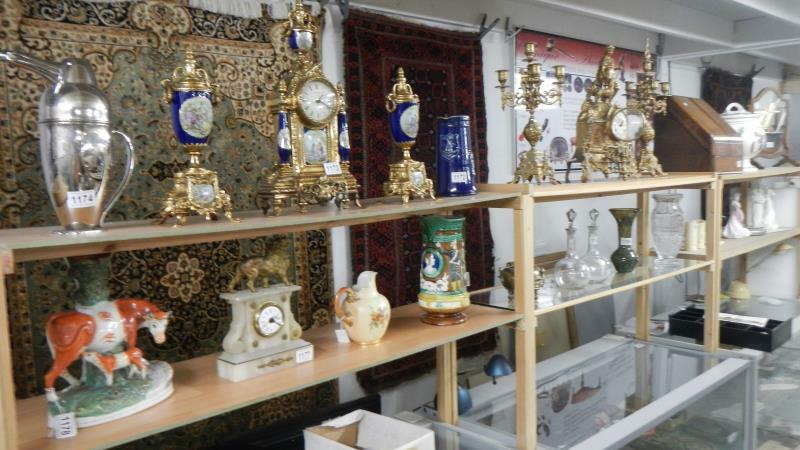 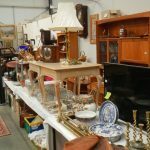 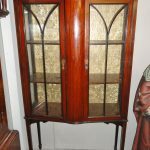 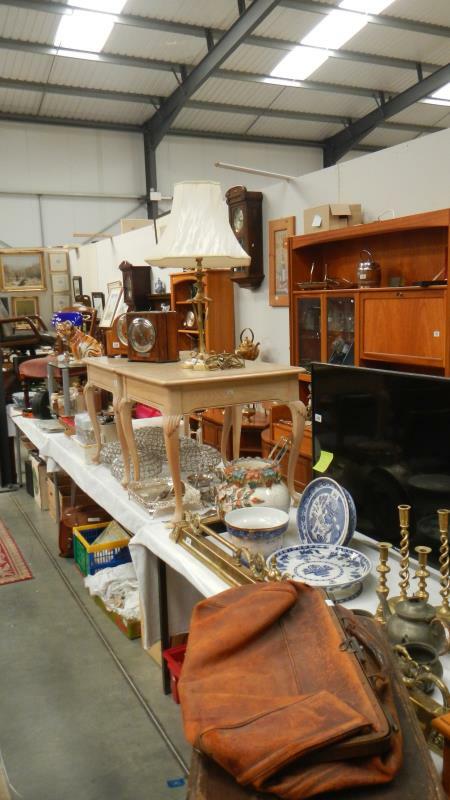 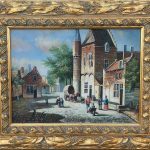 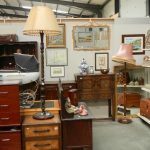 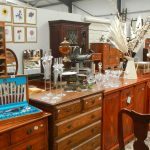 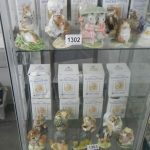 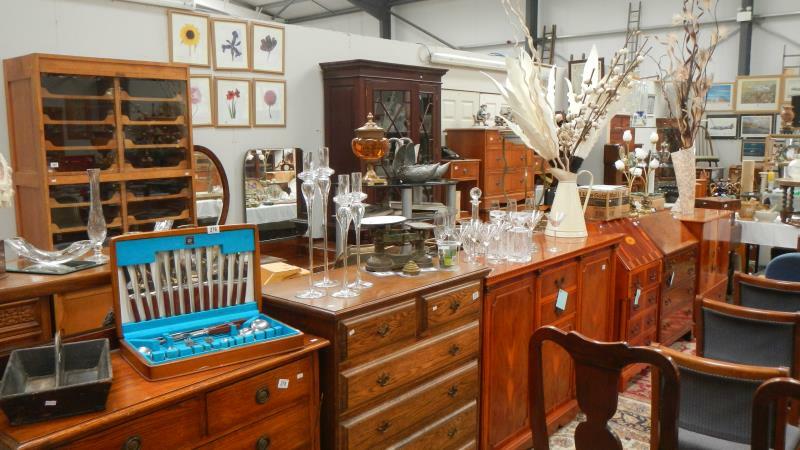 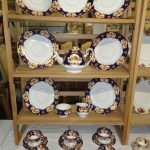 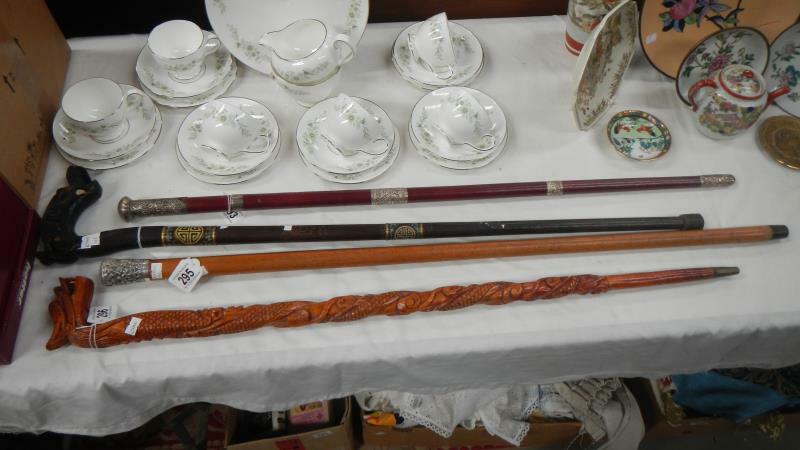 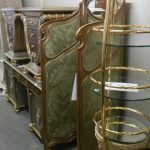 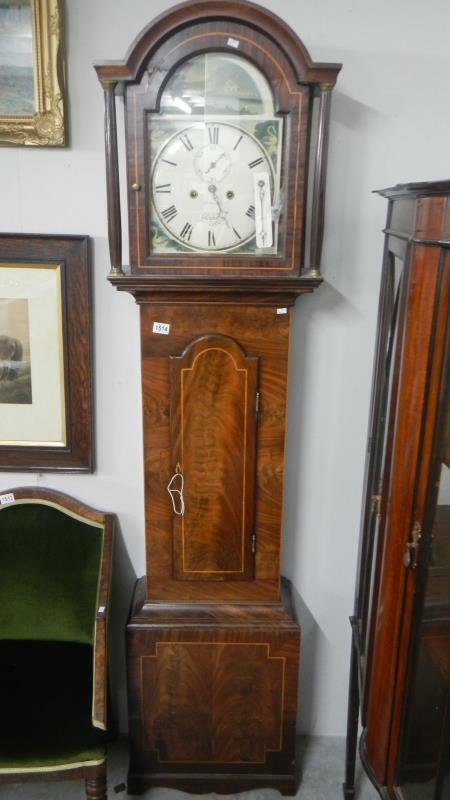 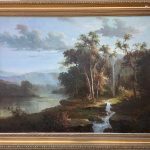 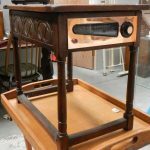 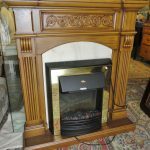 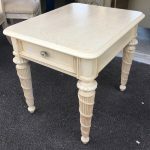 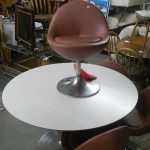 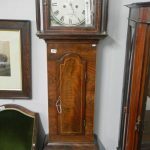 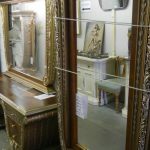 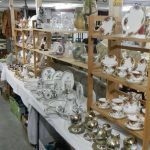 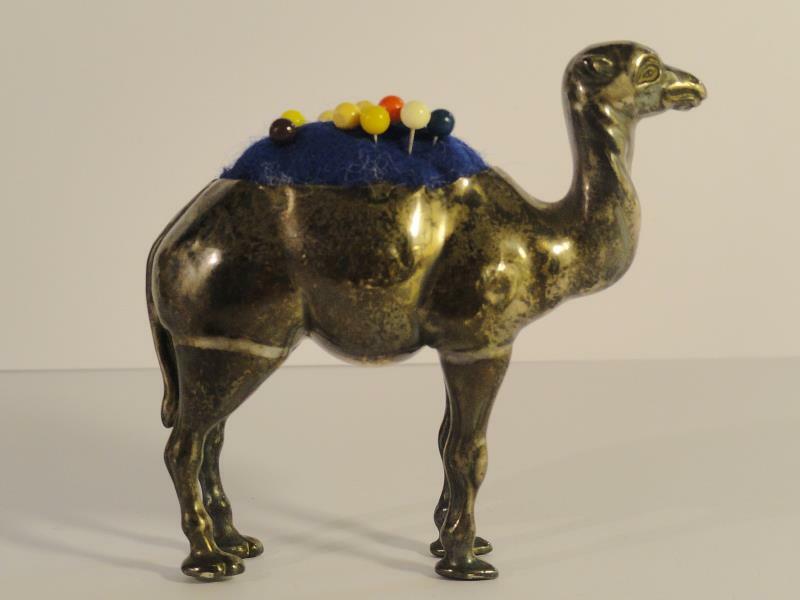 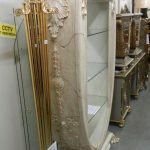 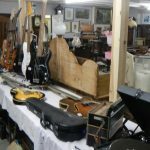 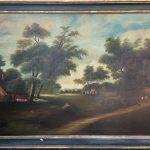 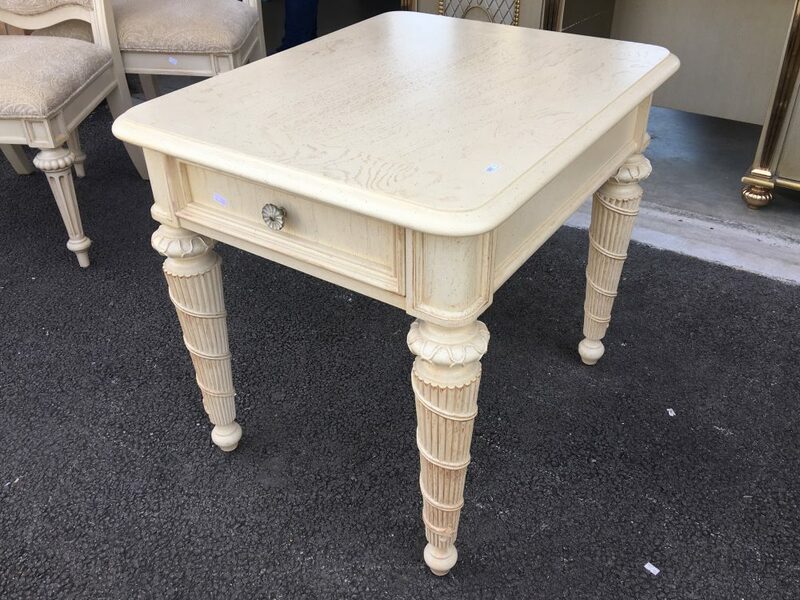 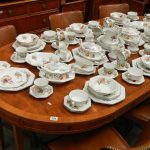 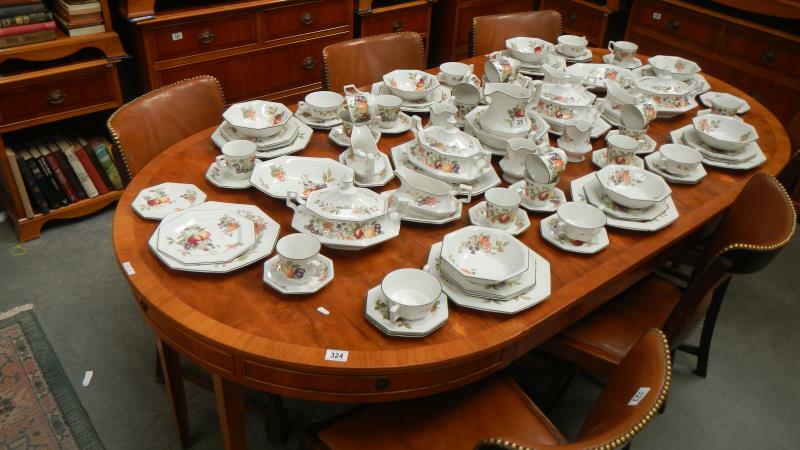 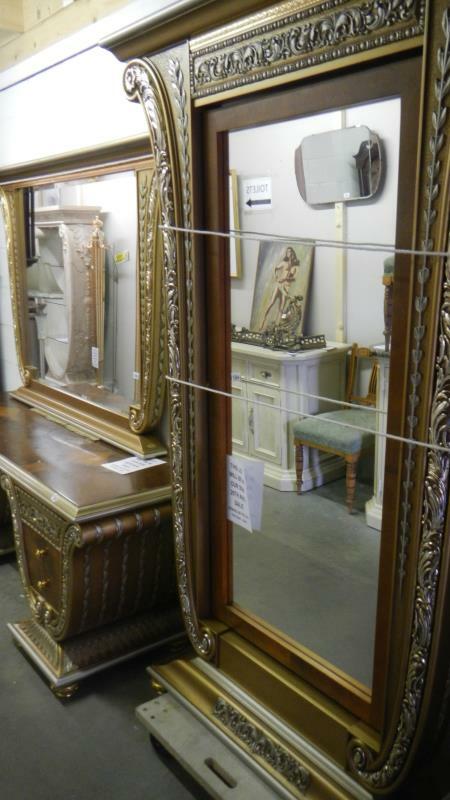 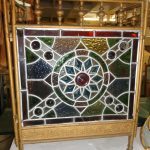 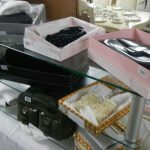 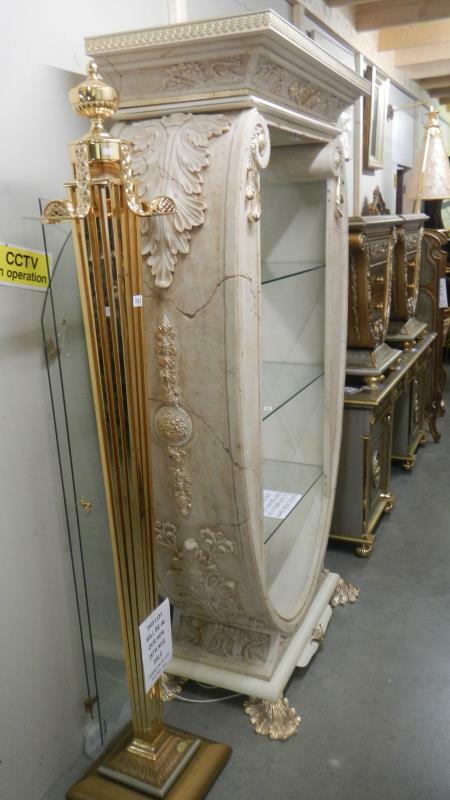 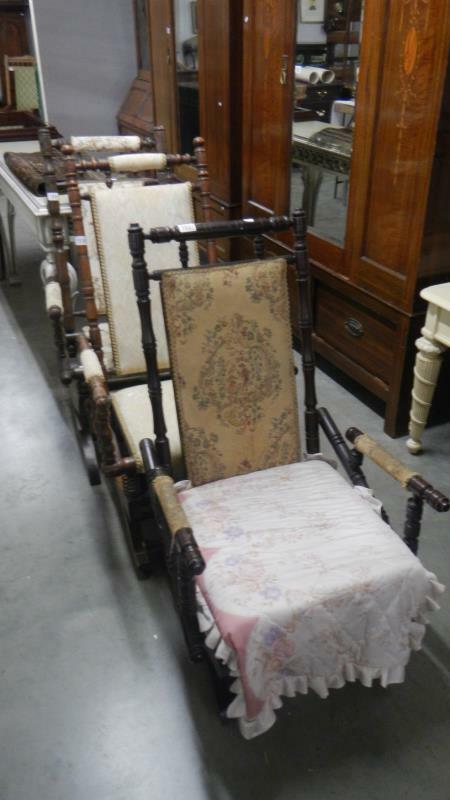 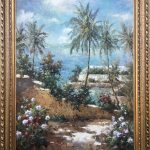 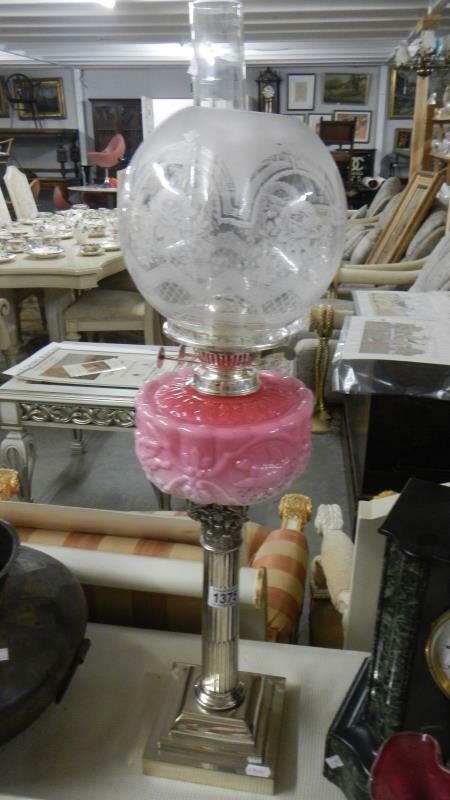 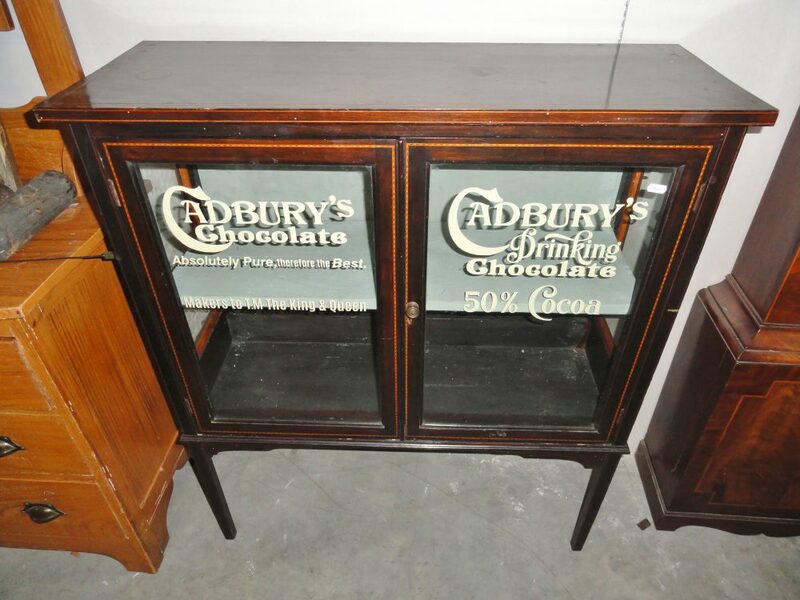 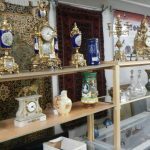 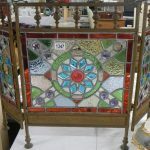 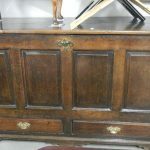 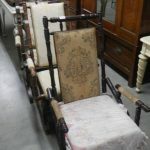 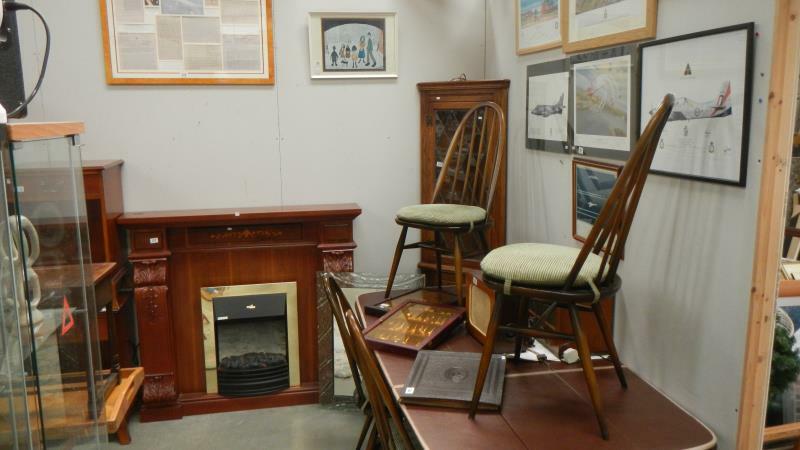 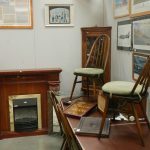 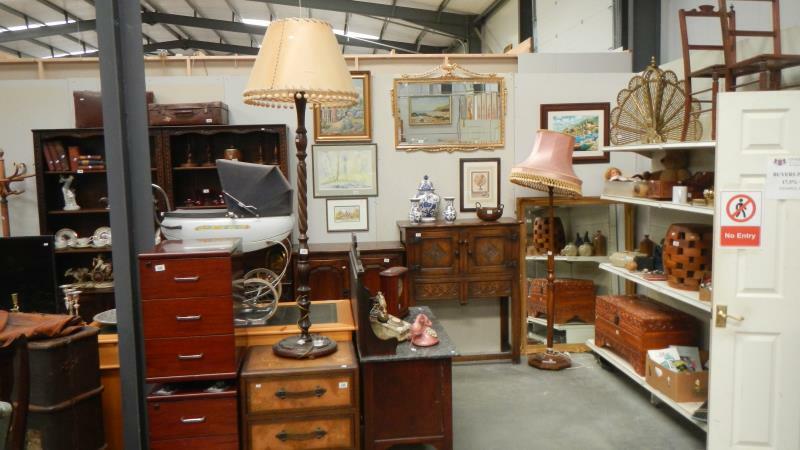 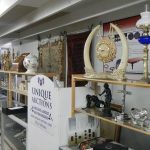 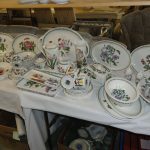 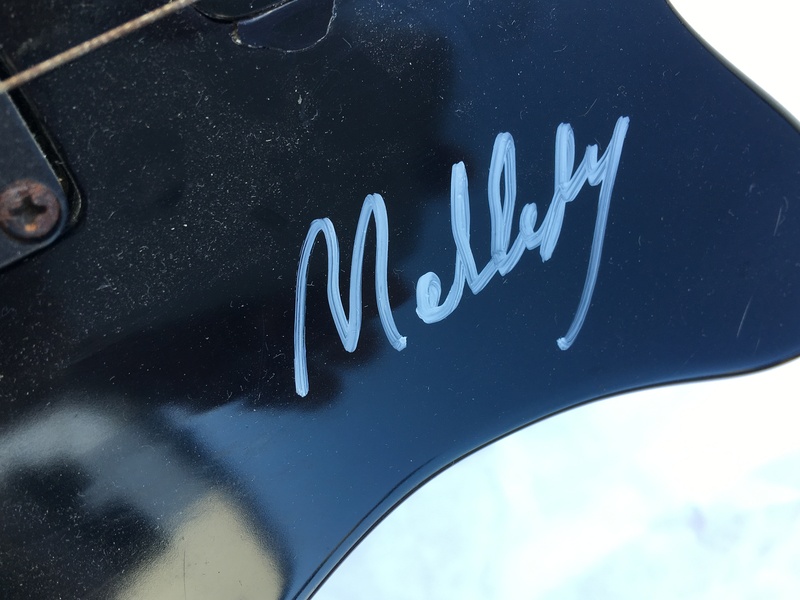 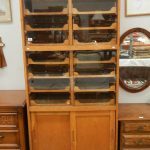 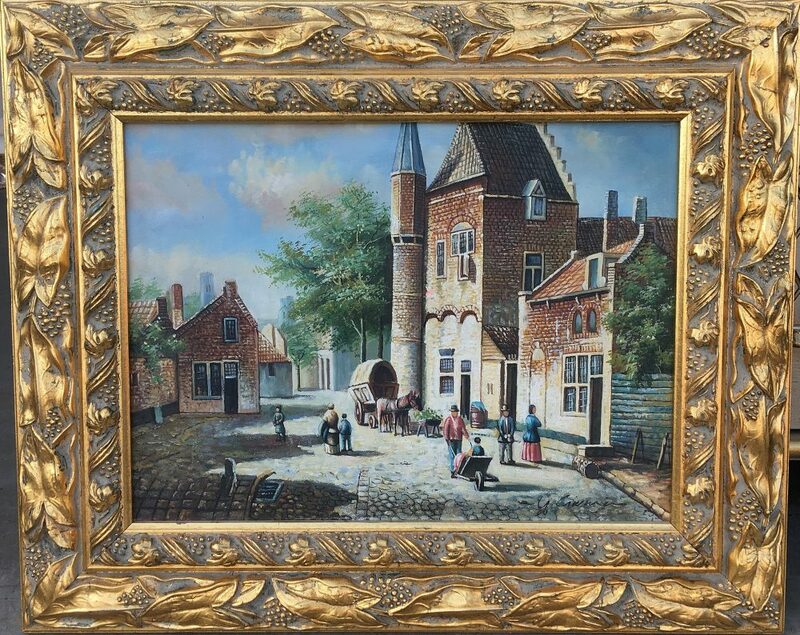 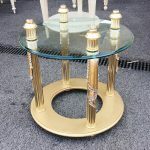 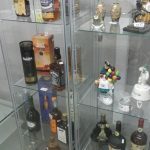 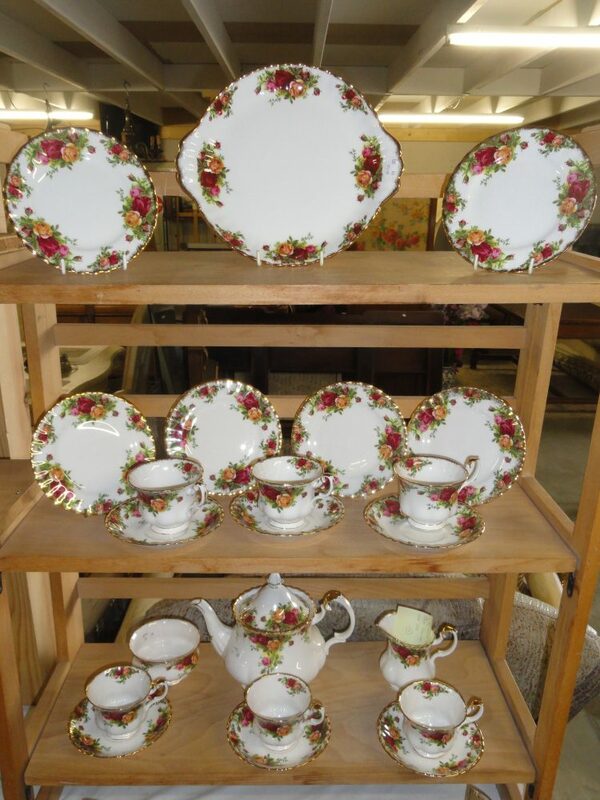 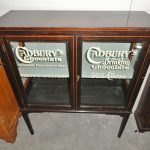 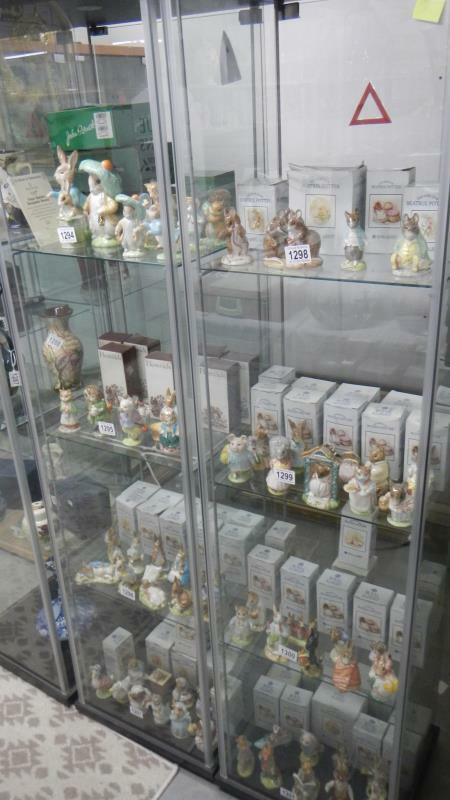 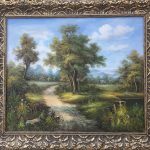 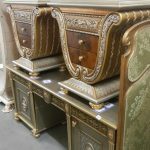 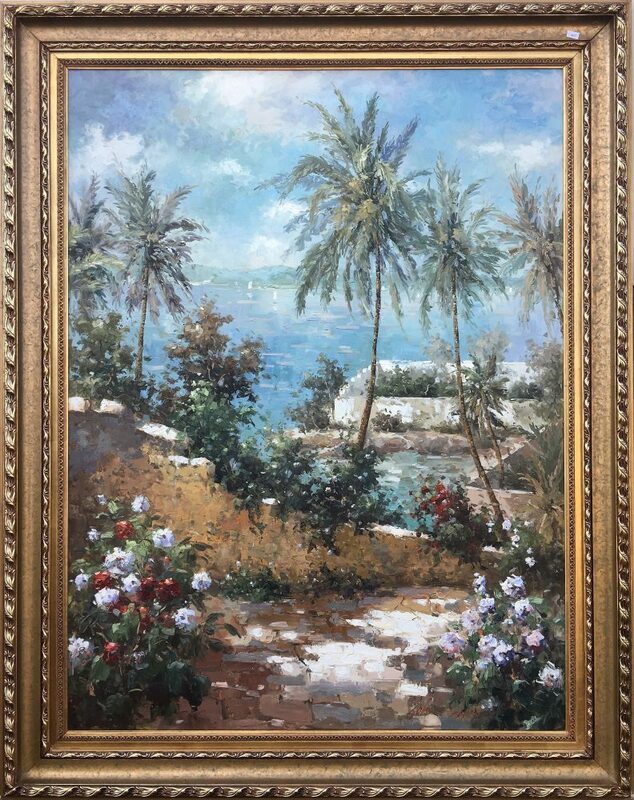 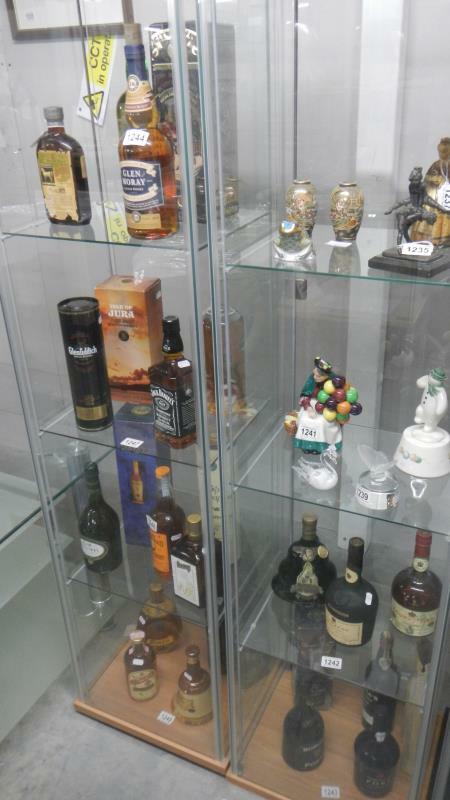 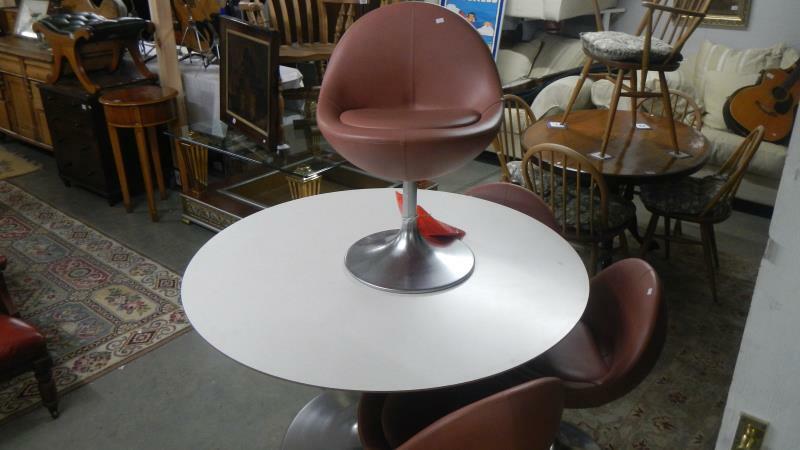 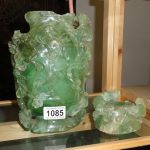 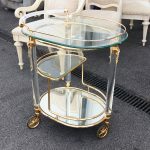 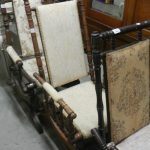 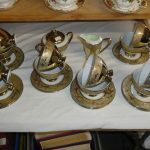 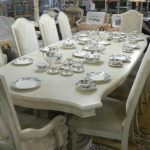 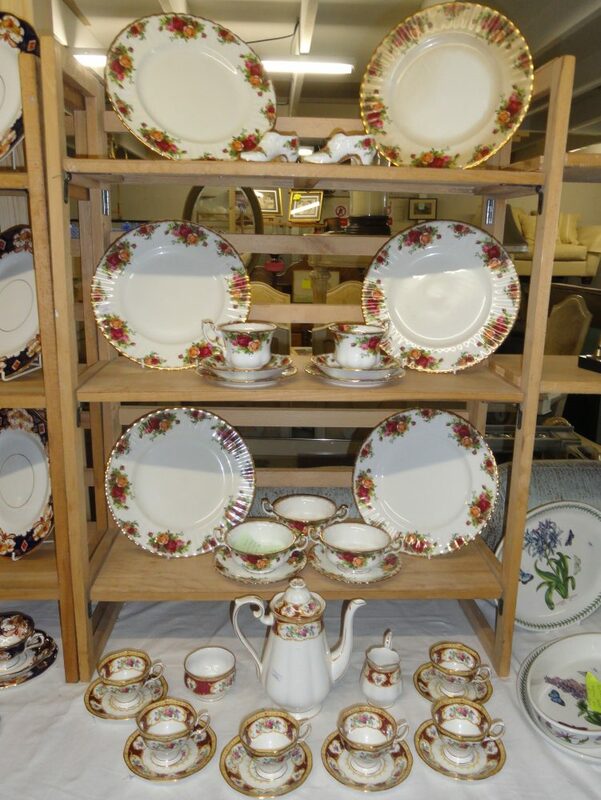 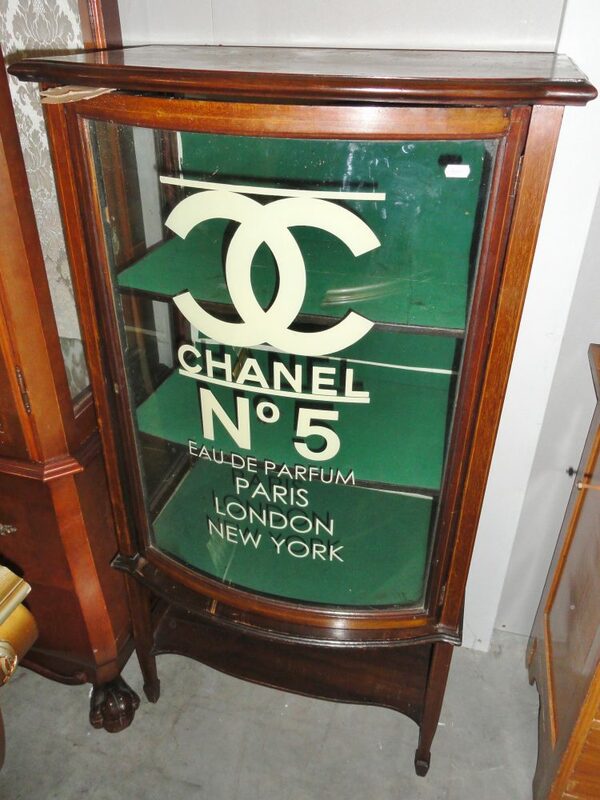 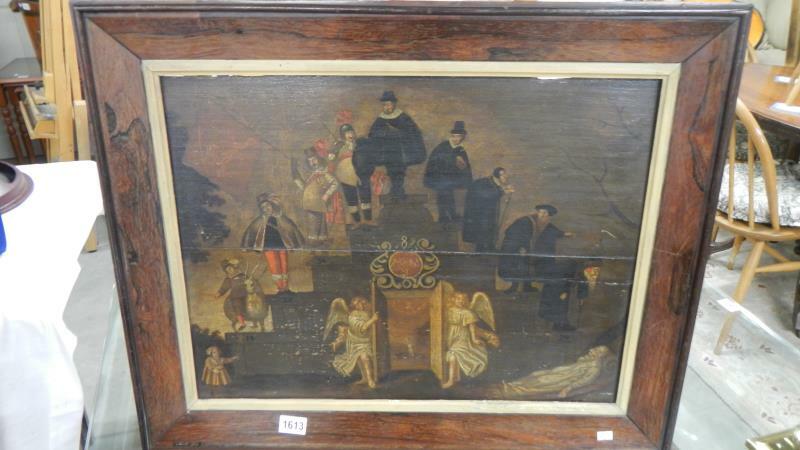 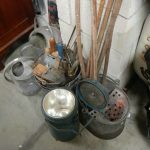 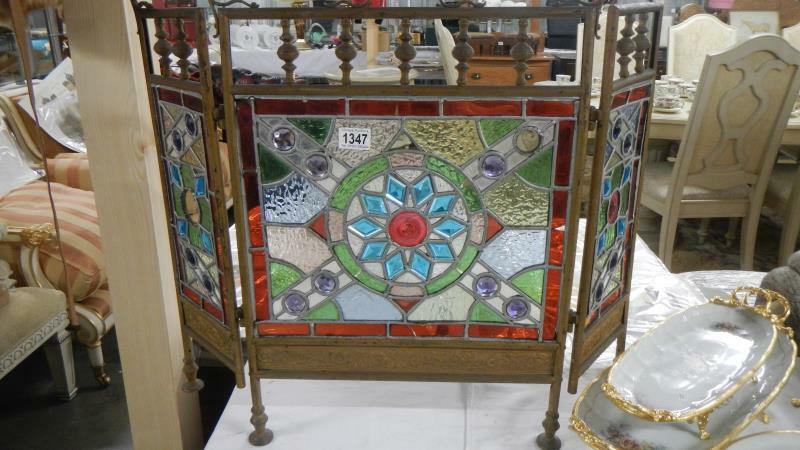 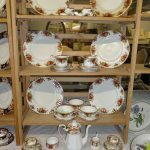 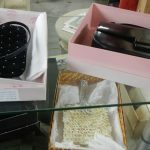 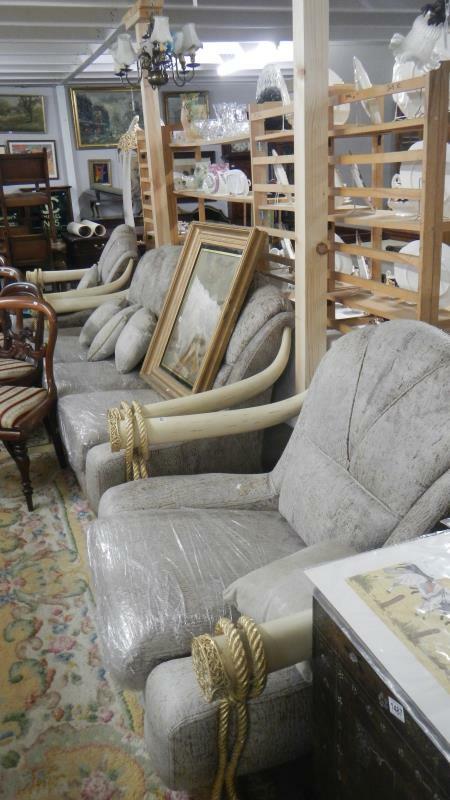 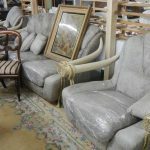 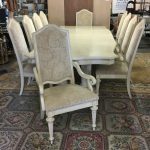 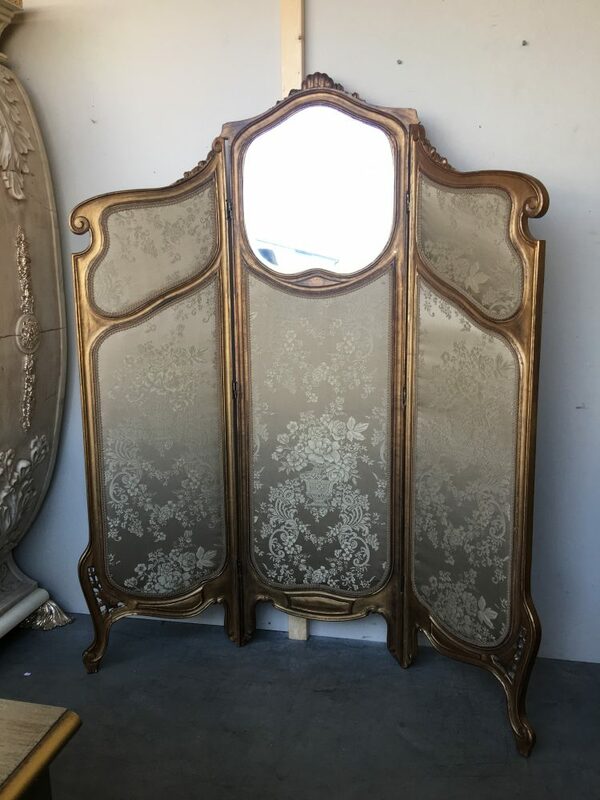 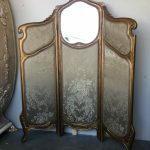 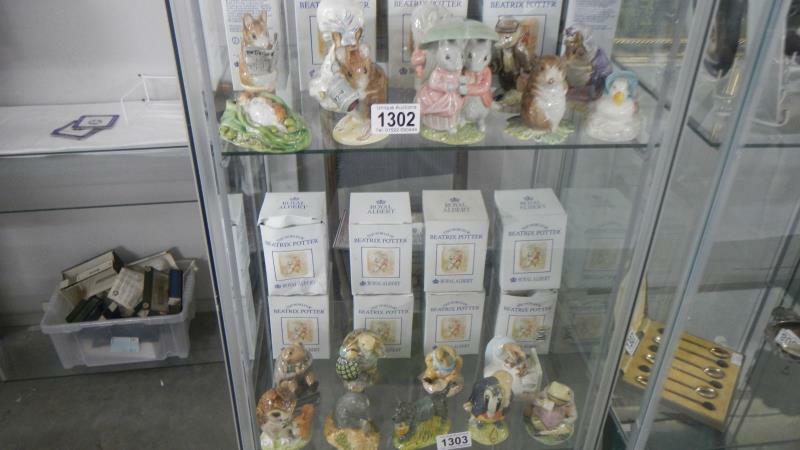 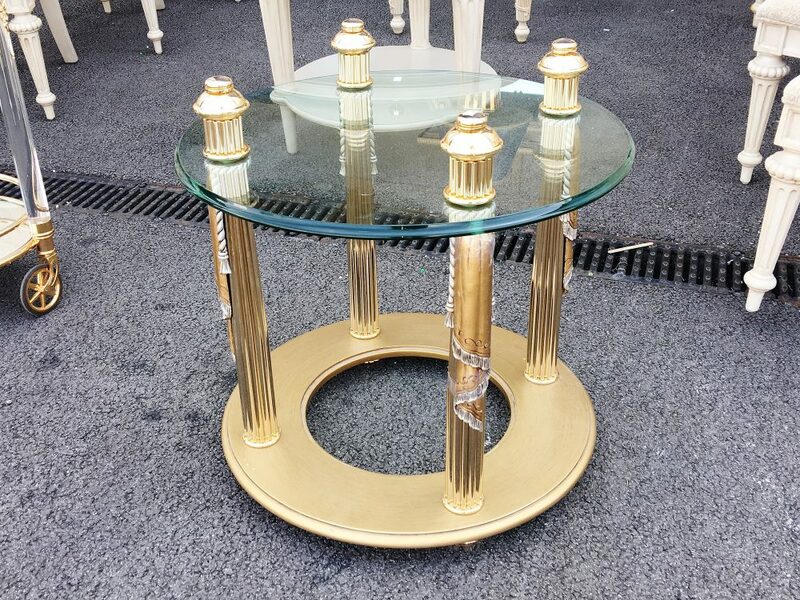 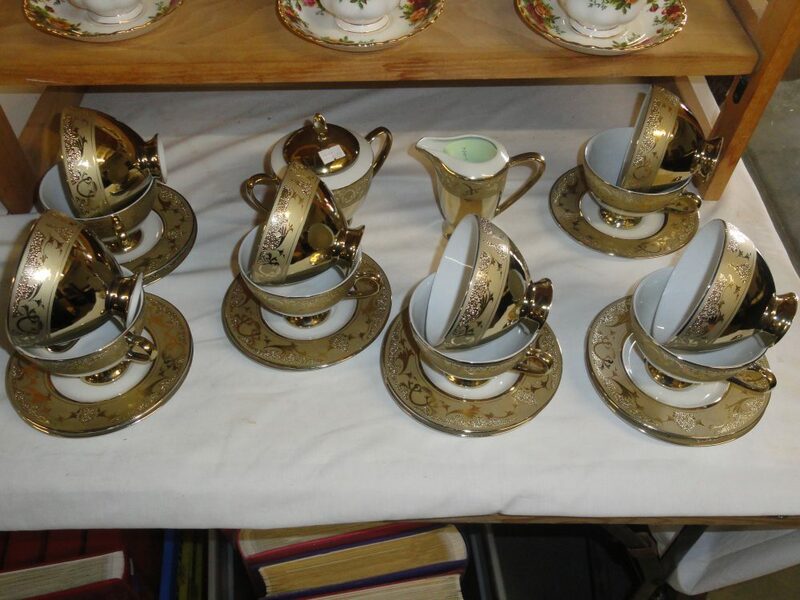 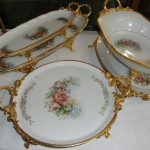 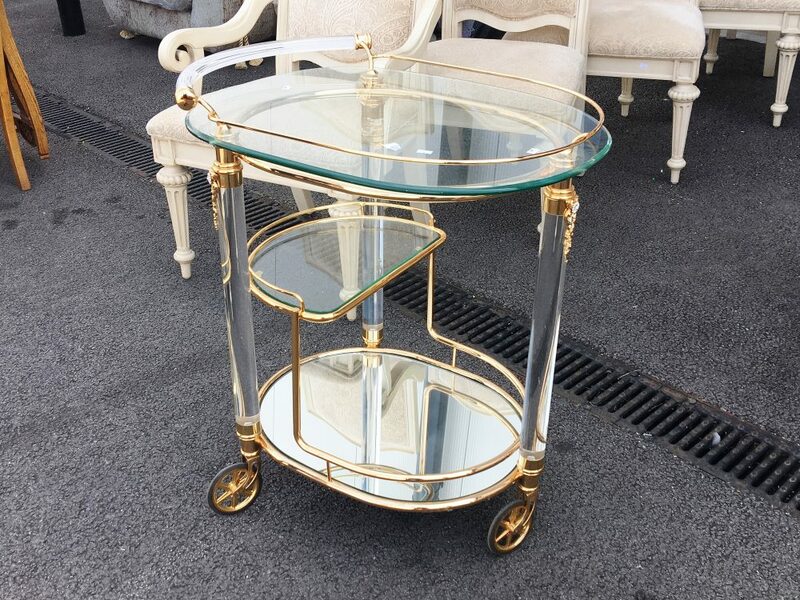 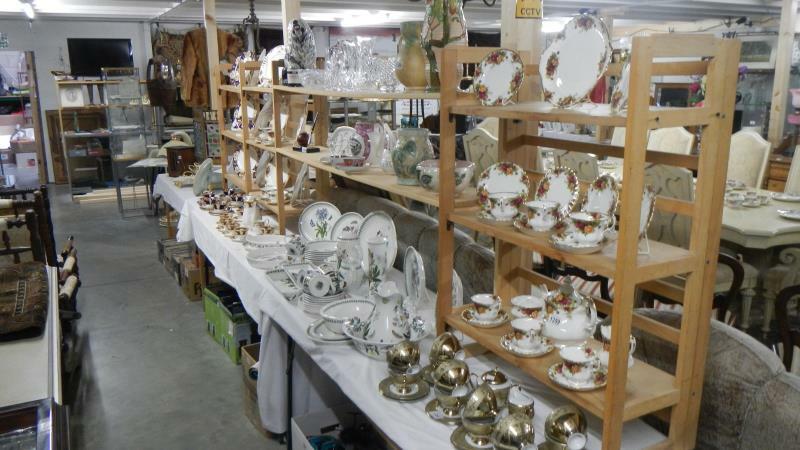 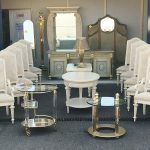 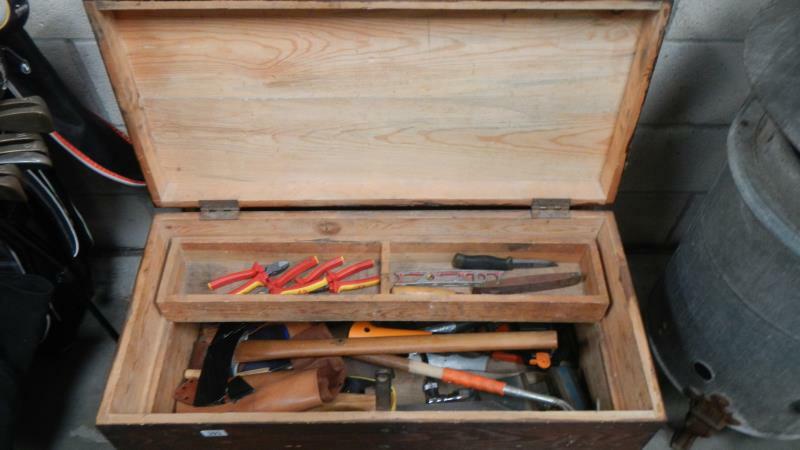 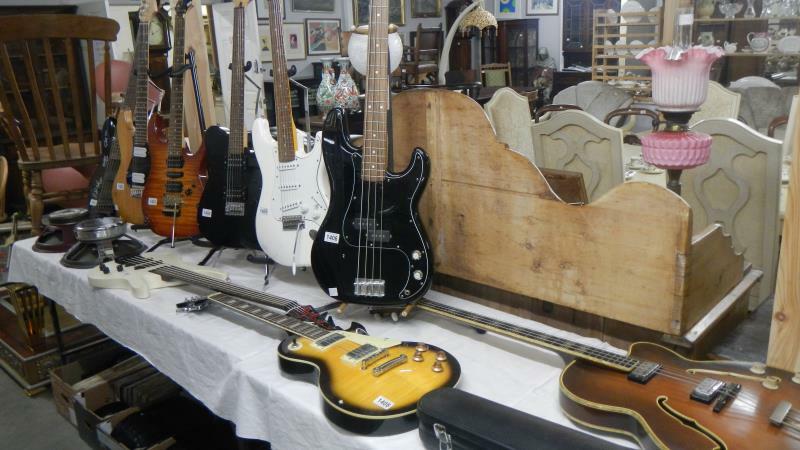 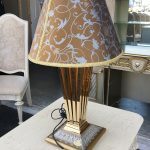 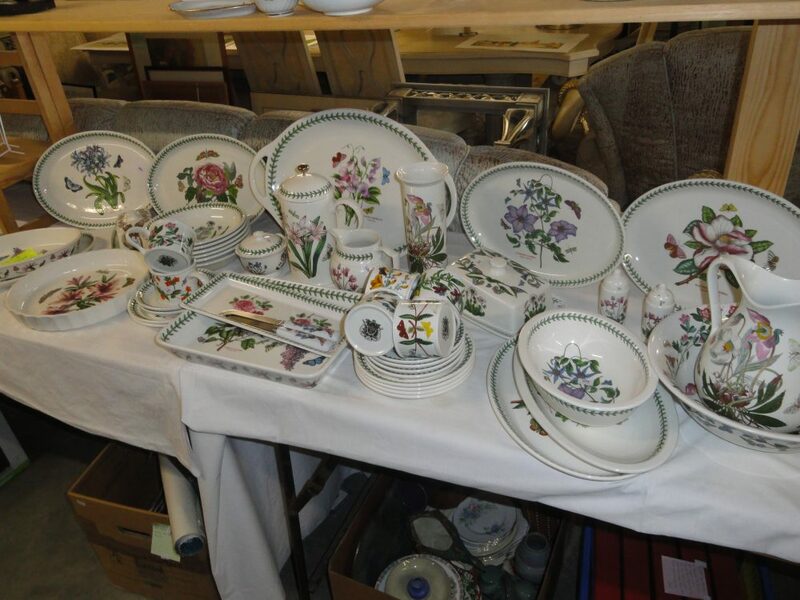 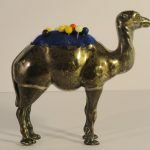 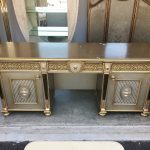 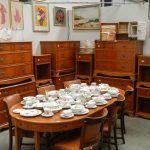 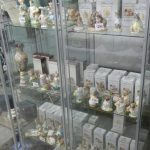 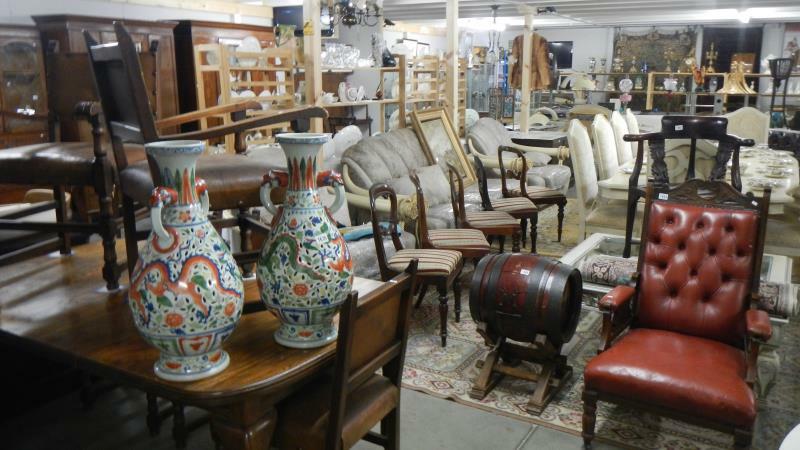 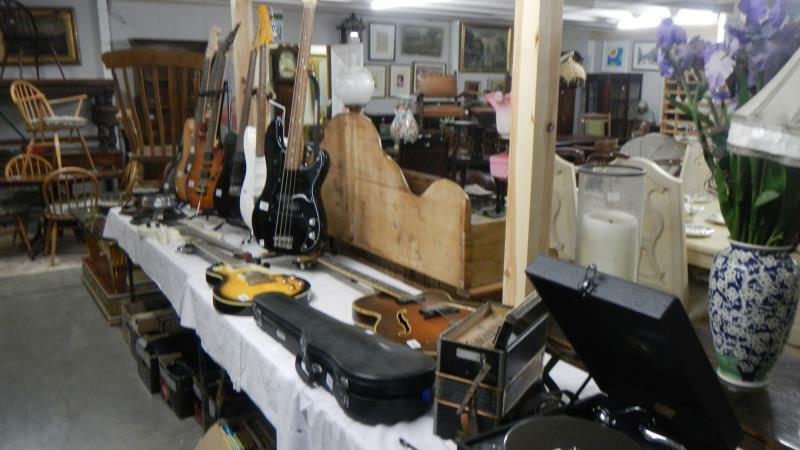 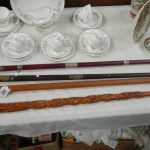 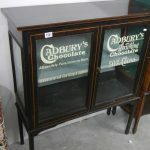 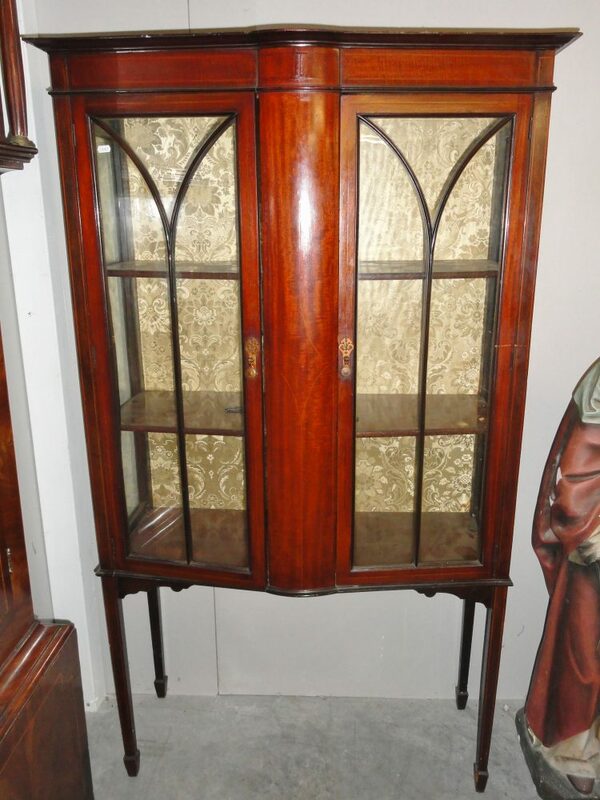 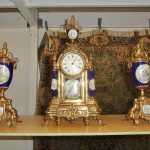 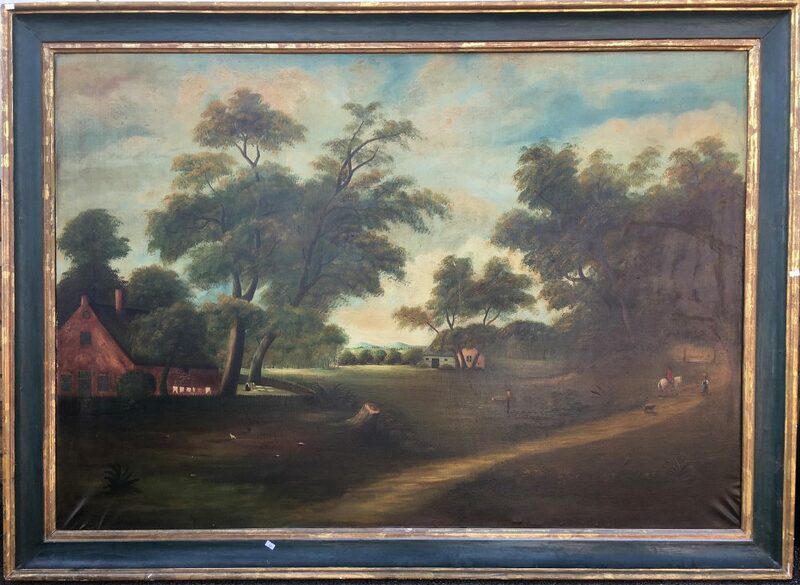 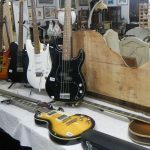 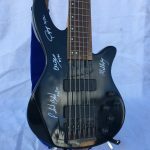 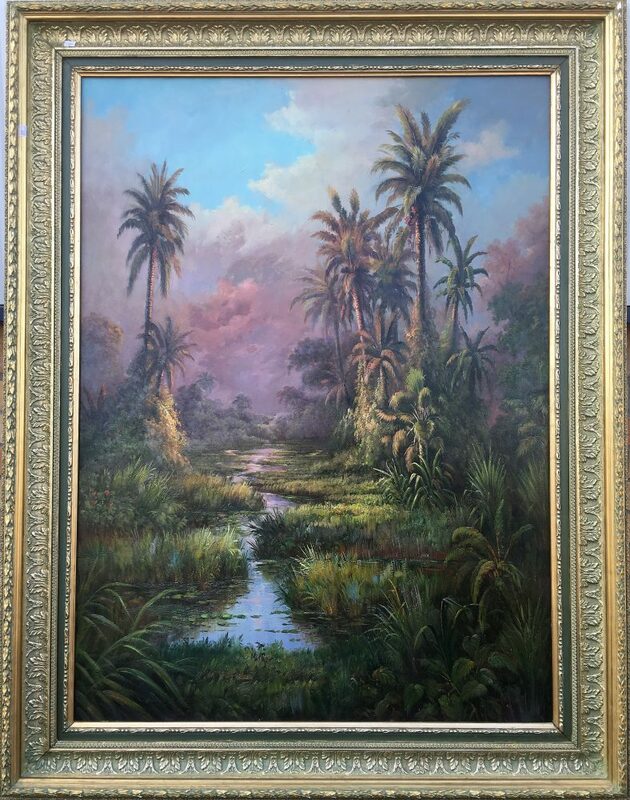 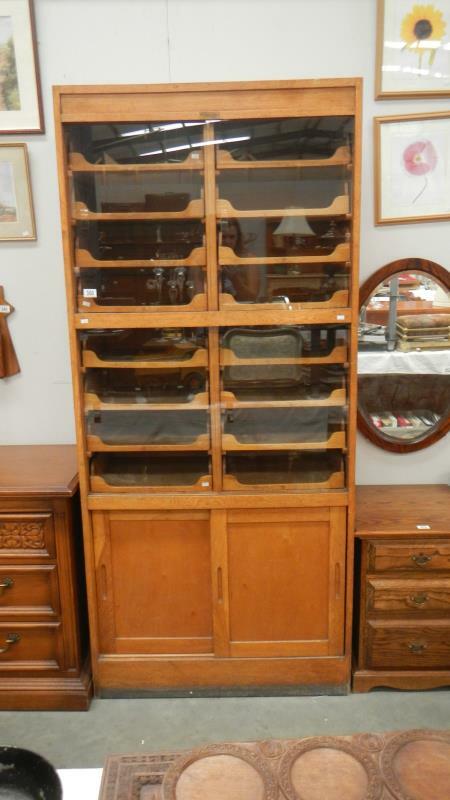 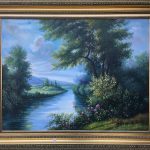 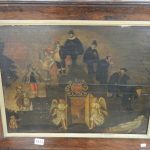 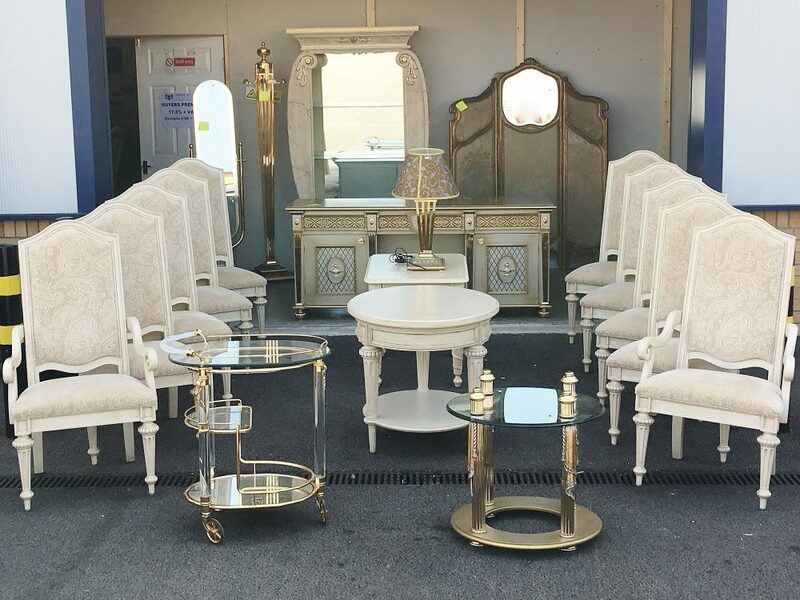 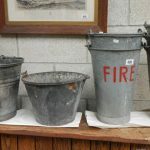 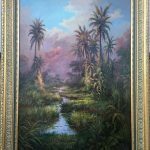 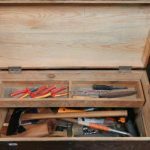 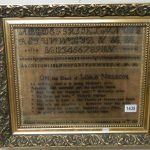 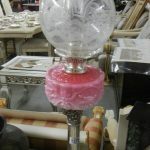 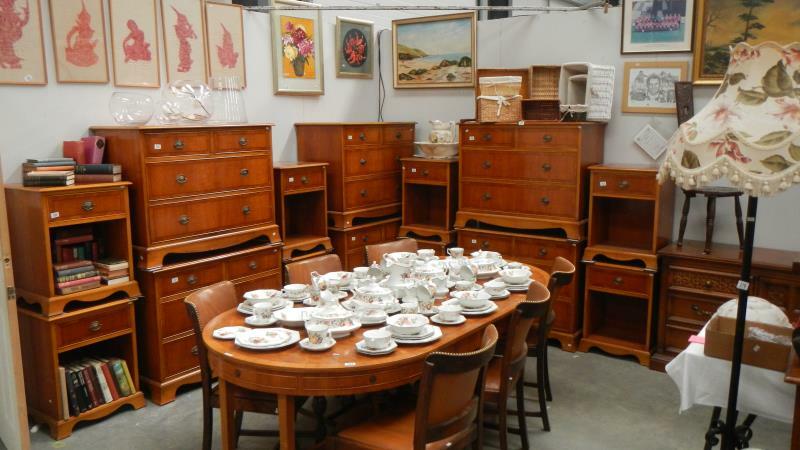 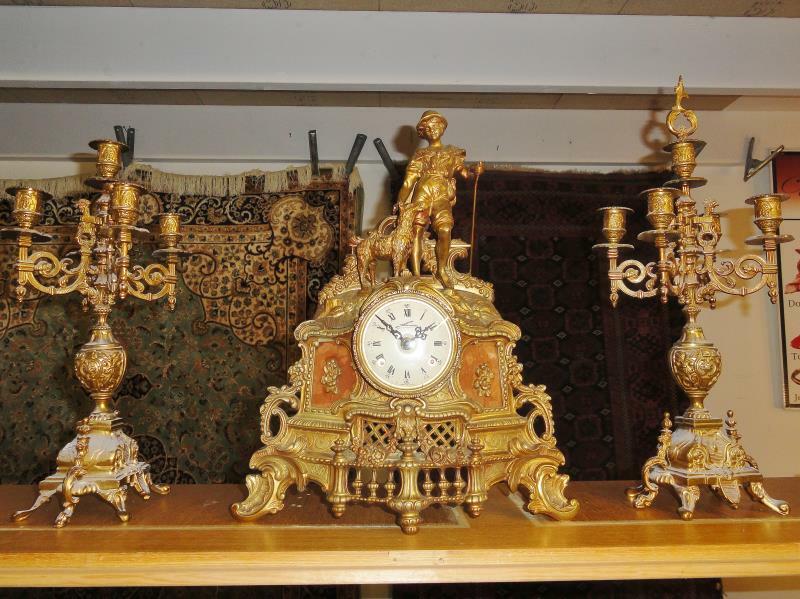 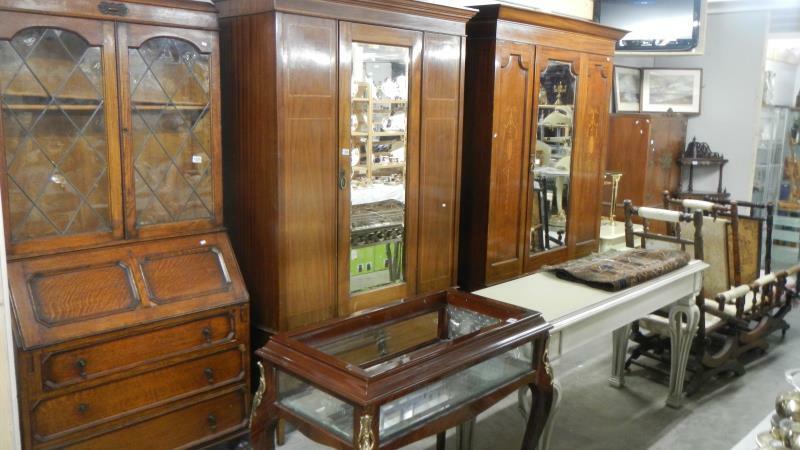 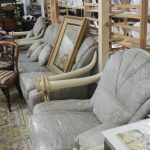 Including: antique furniture; collectables; gold & jewellery; gold coins; militaria and medals; collection of daggers; a large collection of Beatrix Potter figurines; a fine selection of Venetian and modern furniture etc. 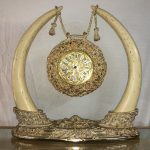 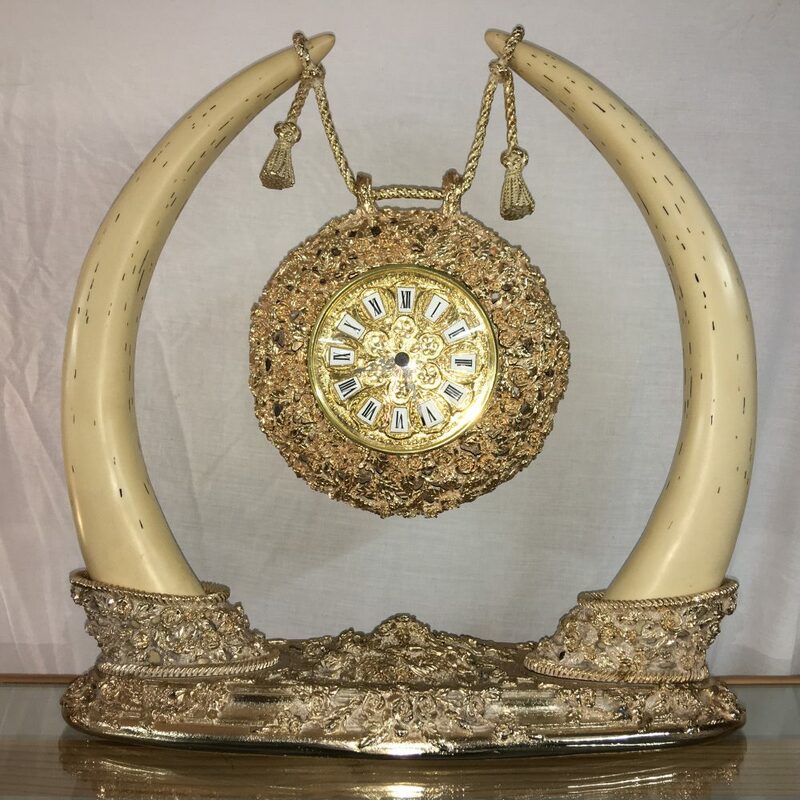 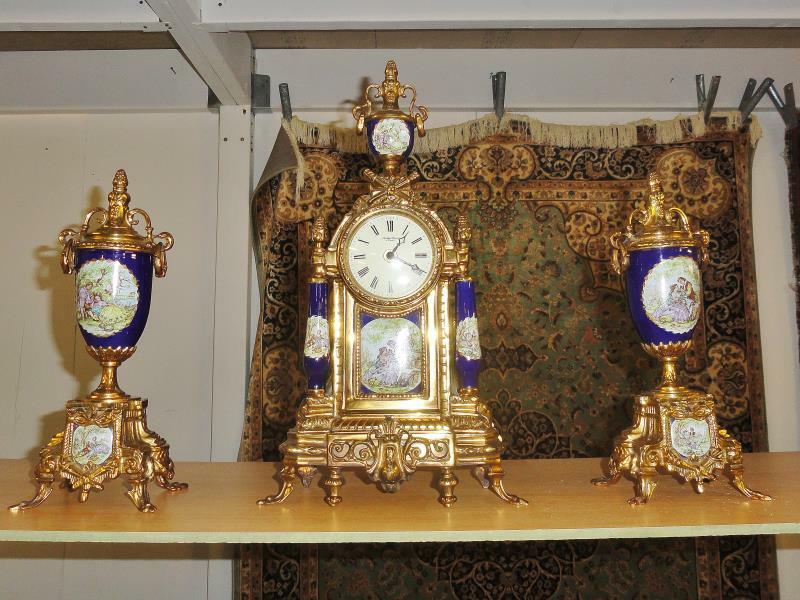 A contemporary 3 piece clock garniture (battery). 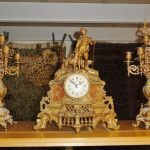 A gilt brass clock garniture surmounted boy with dog. 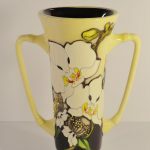 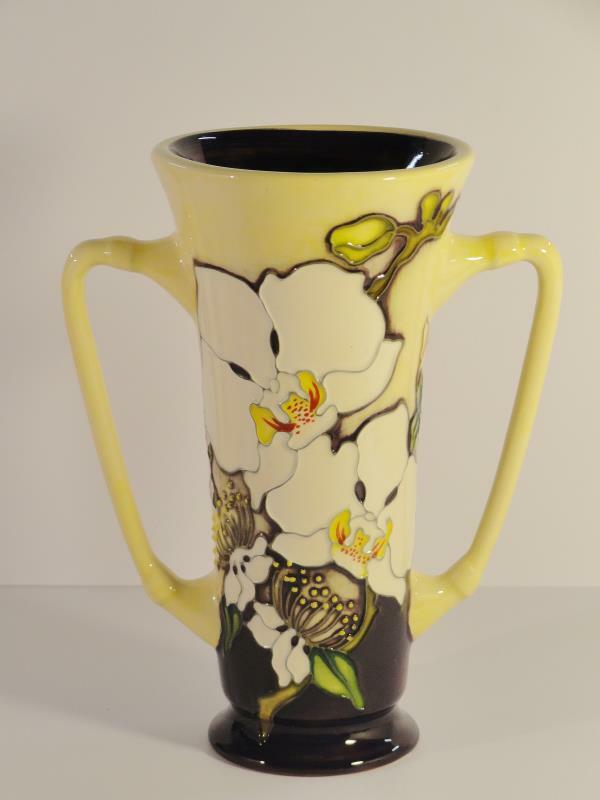 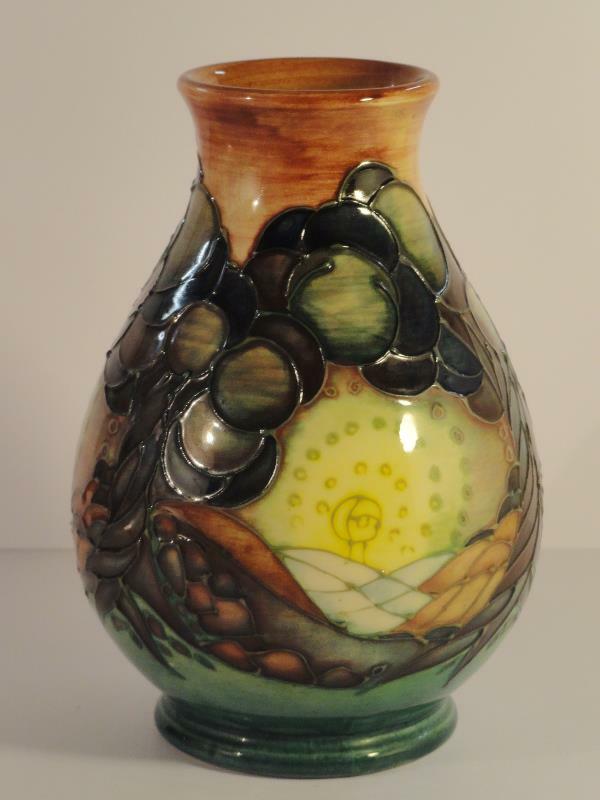 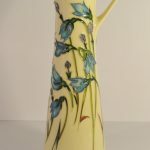 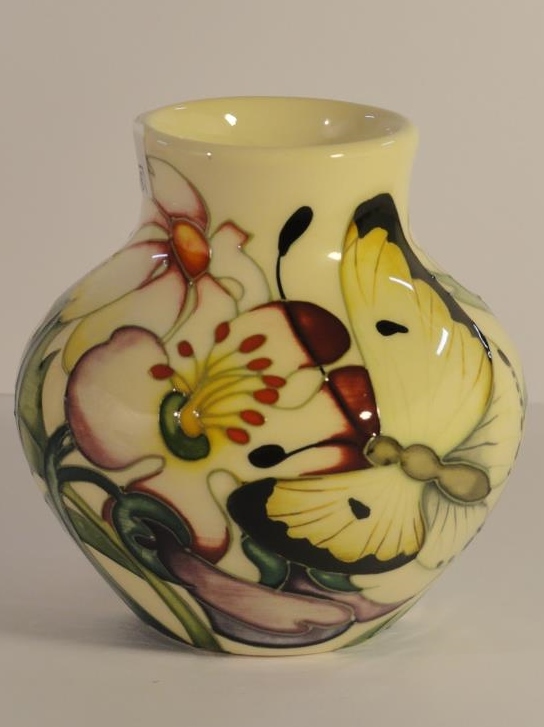 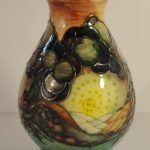 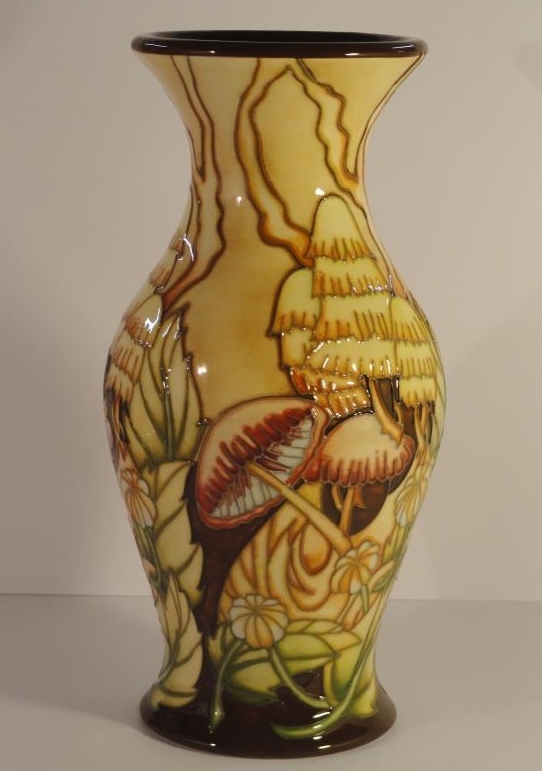 Moorcroft ‘Glen Gathering’ pattern vase – gold star award (designed by Vicky Lovett). 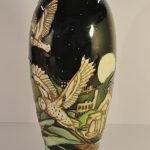 Moorcroft twin handled trial vase in ‘Kestrels’ pattern. 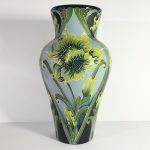 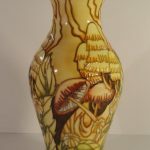 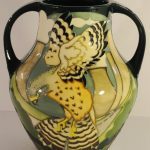 Moorcroft ‘Lionshield’ (market day) pattern vase, designed by Vicky Lovett. 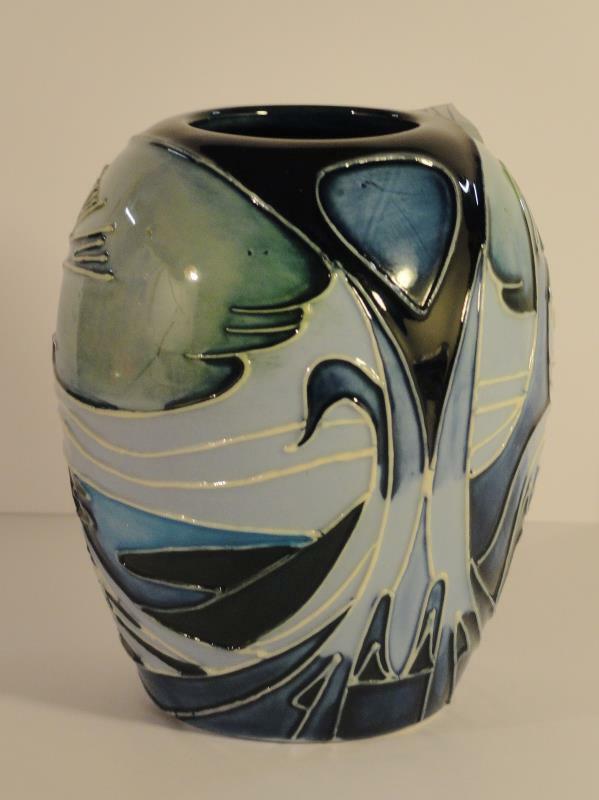 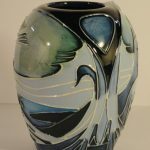 Moorcroft ‘Seasons’ vase of winter, designed by Sally Tuffin. 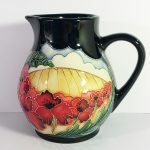 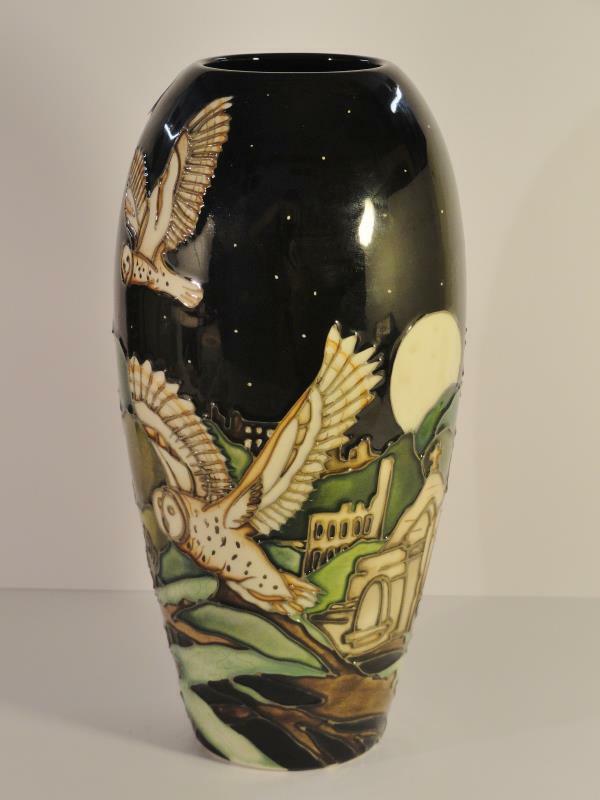 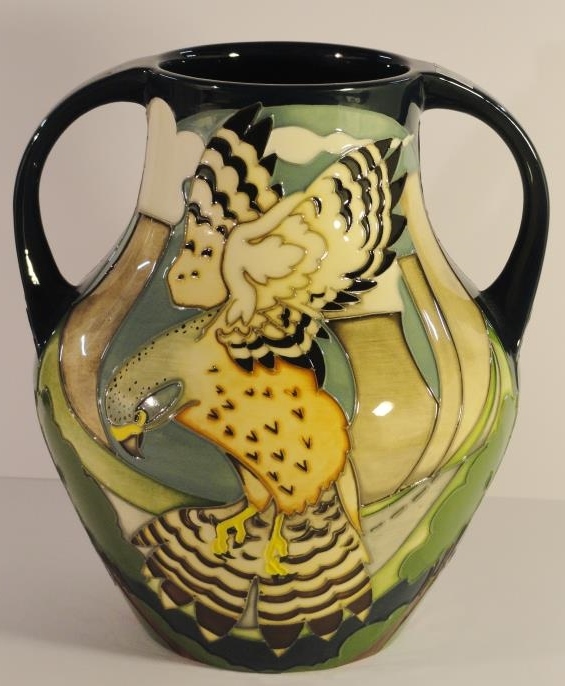 Moorcroft ‘Tawny Tales’ pattern vase – limited edition of only 30 (designed by Paul Hilditch). 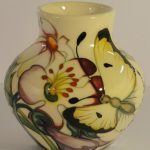 Moorcroft ‘Knypersley’ pattern vase designed by Emma Bossons – boxed. 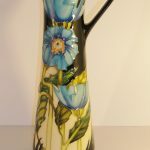 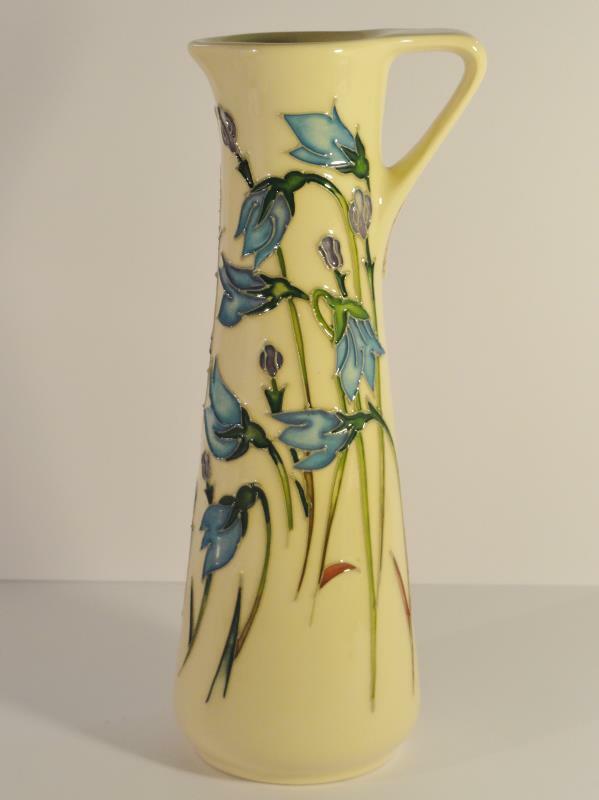 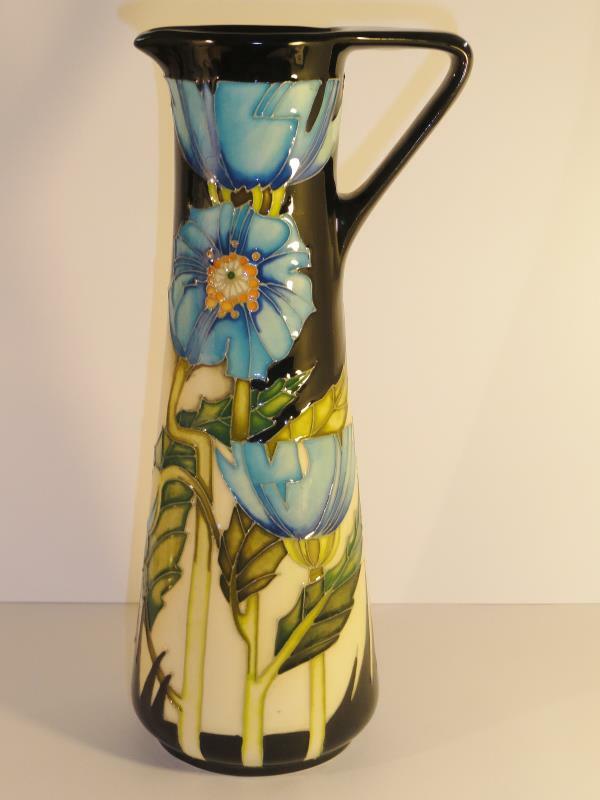 Moorcroft jug with blue flowers. 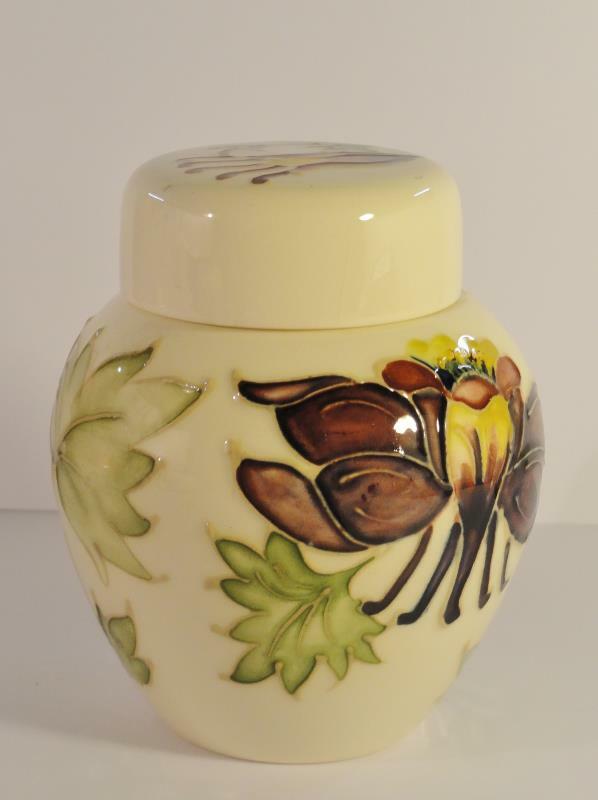 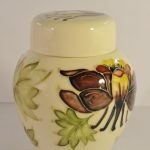 Moorcroft ginger jar ‘Columbine Aguilegia’ pattern – boxed. 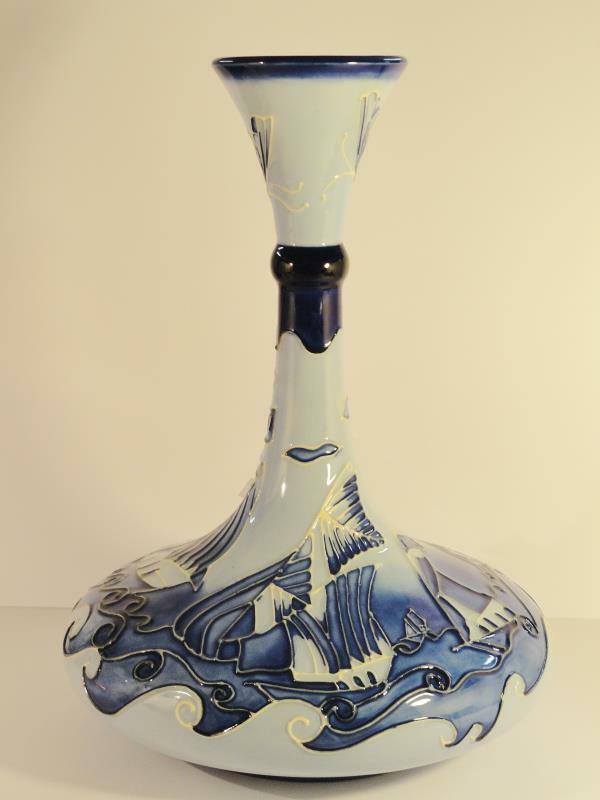 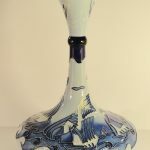 Moorcroft ‘Blue on Blue’ vase in ships decanter style. 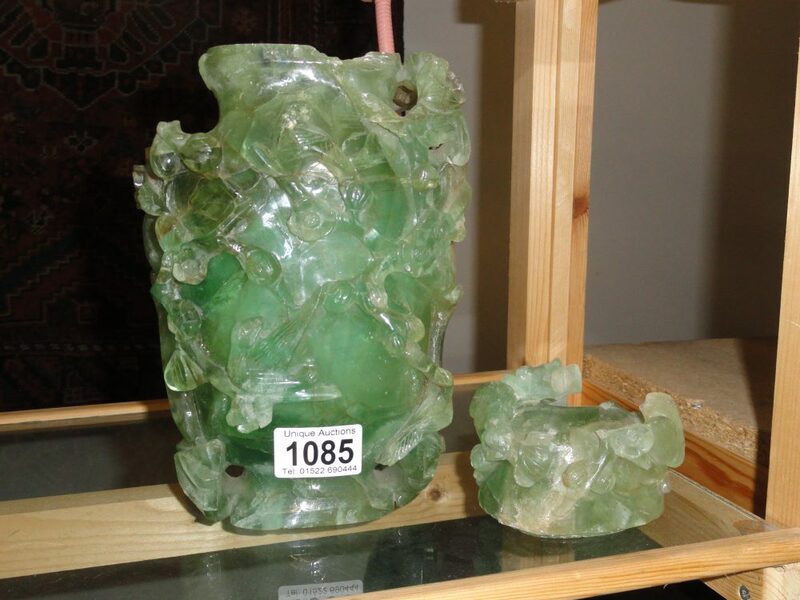 An oriental carved stone lidded jar, a/f. 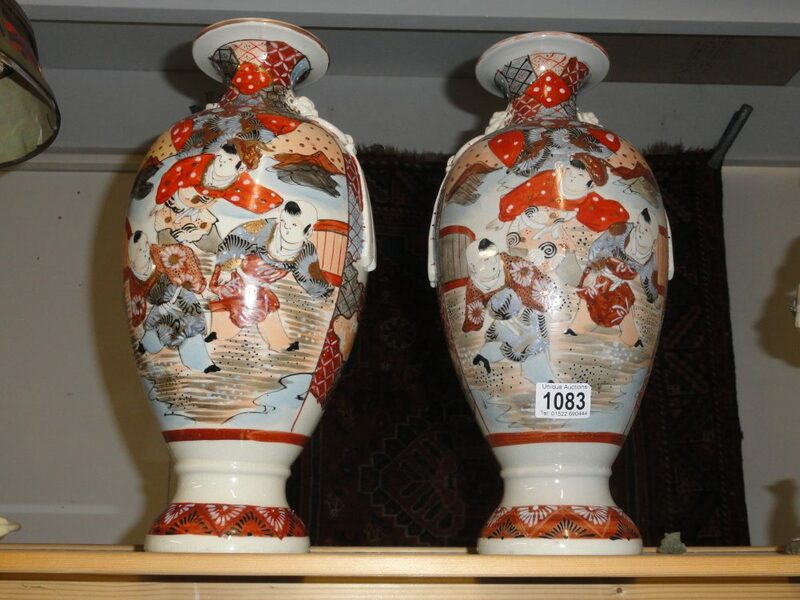 A pair of Imari vases. 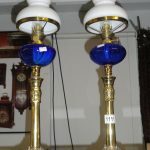 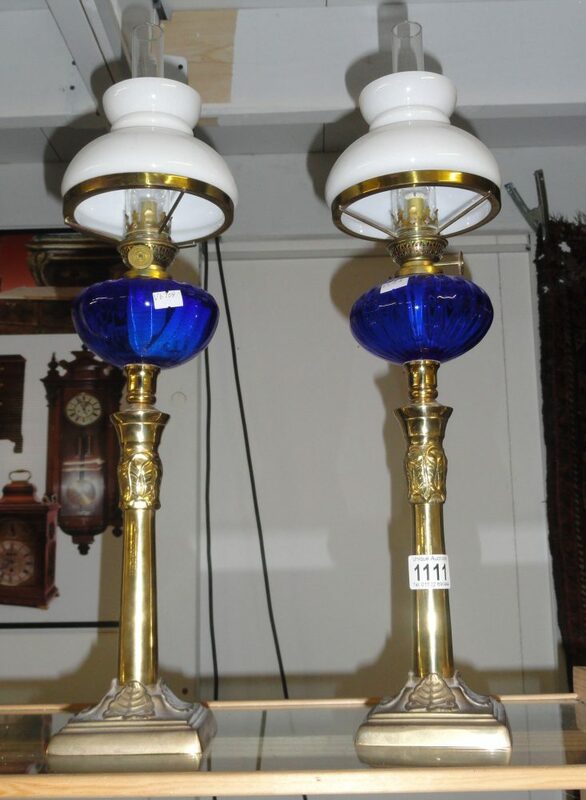 A pair of brass oil lamps with blue glass fonts and white glass shades. 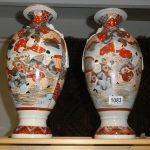 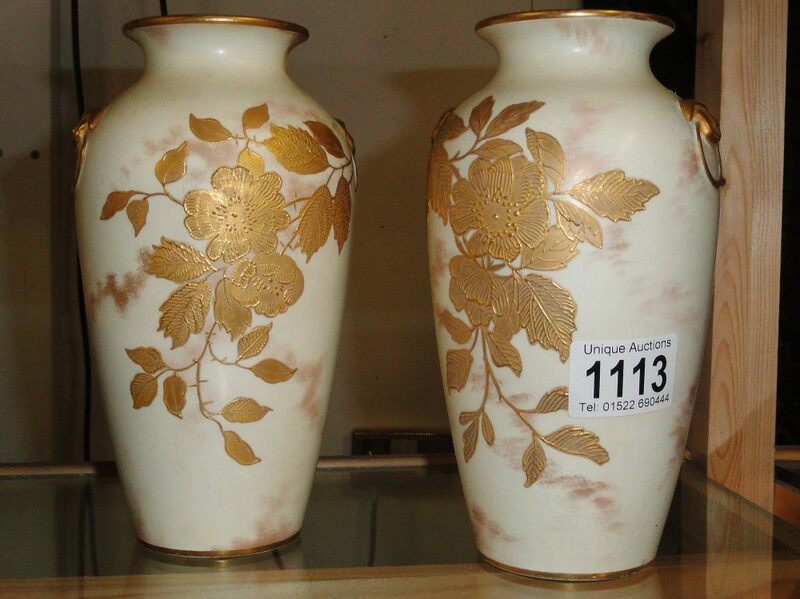 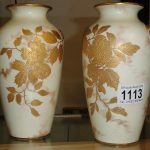 A pair of Wedgwood vases. 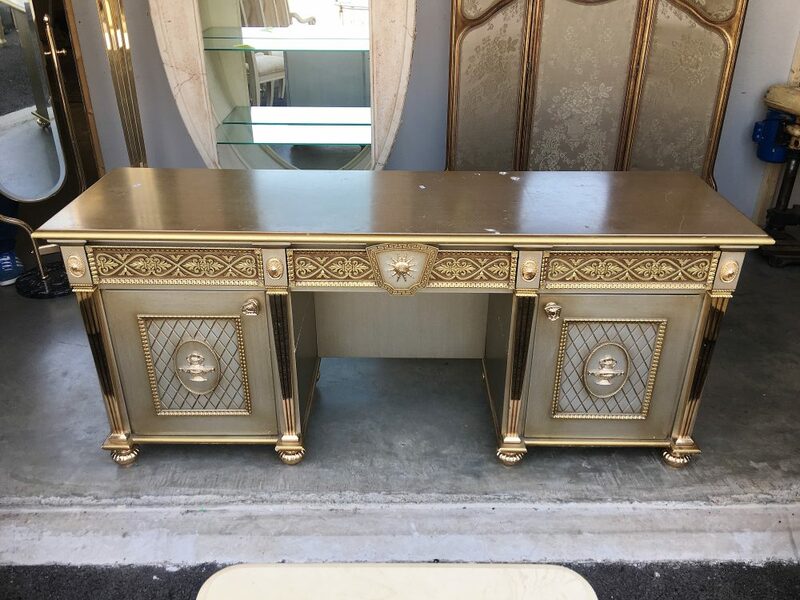 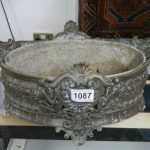 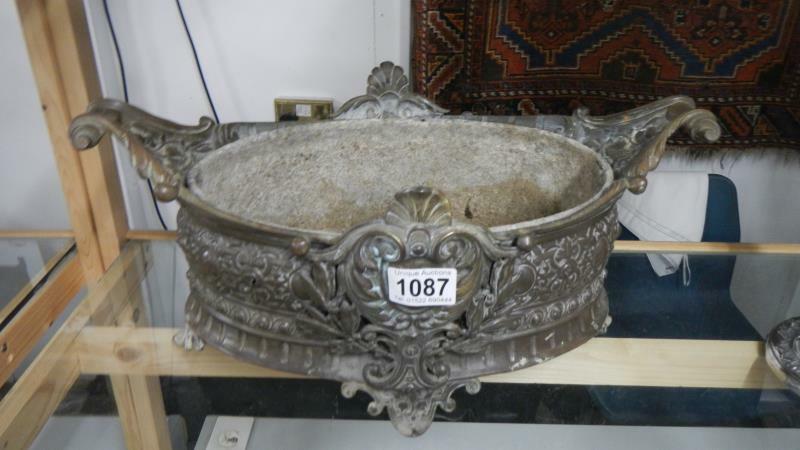 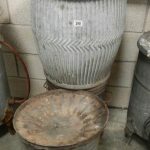 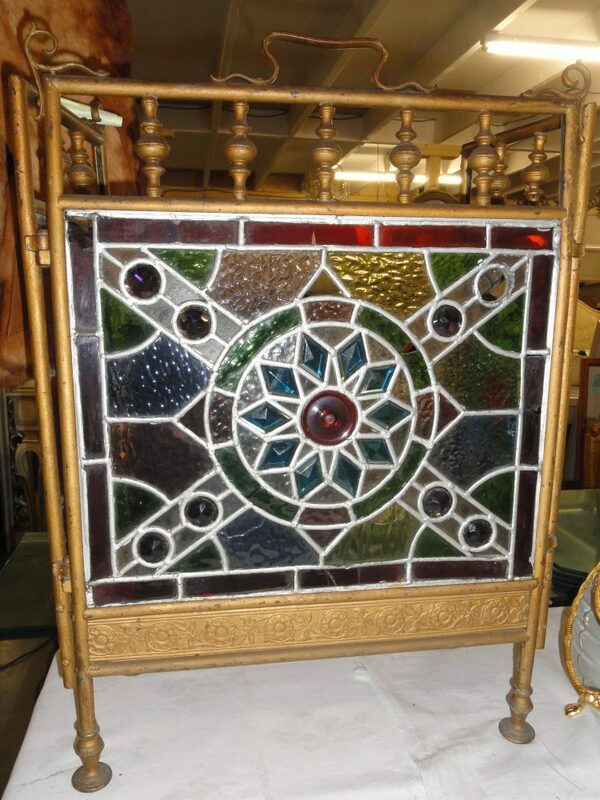 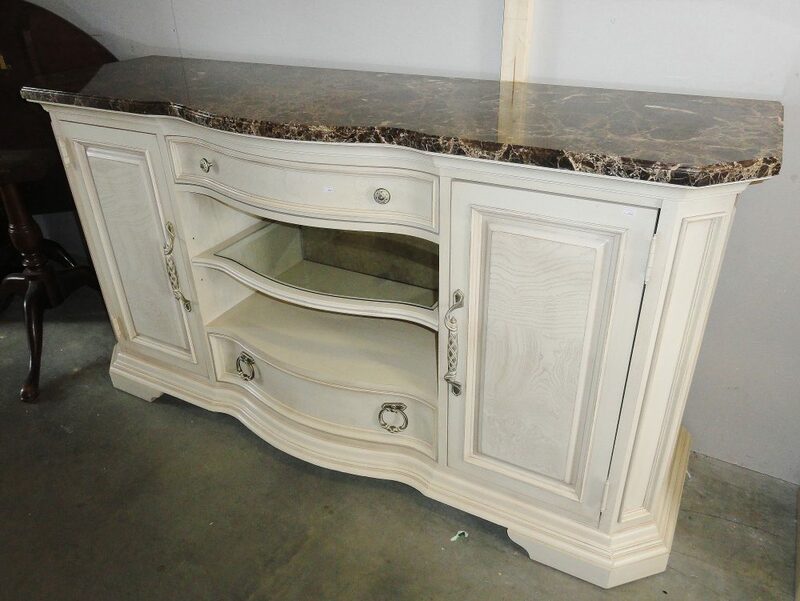 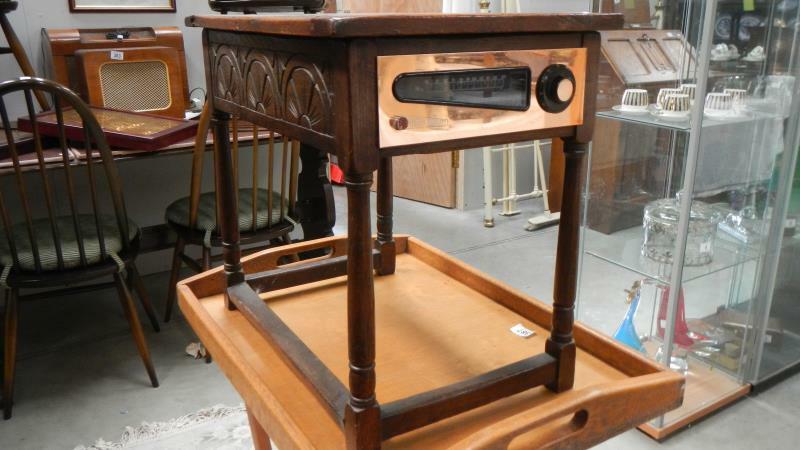 An ornate bronze jardiniere with liner. 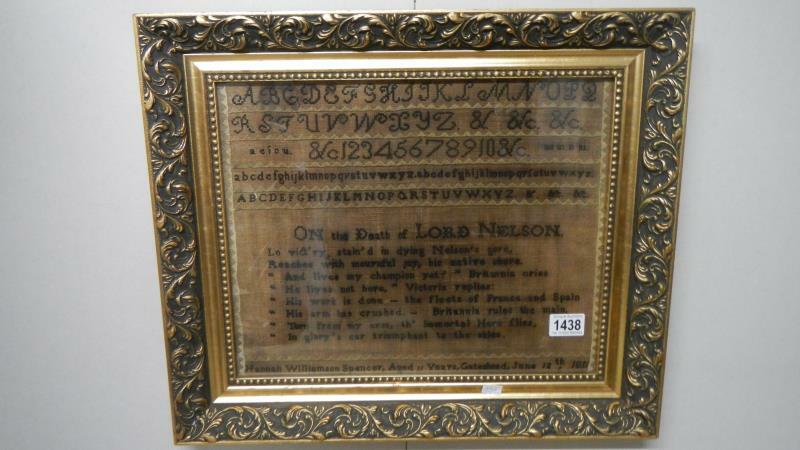 A framed and glazed early 19th century sampler by Hannah Williamson Spencer, aged 11, Gateshead, 1811.